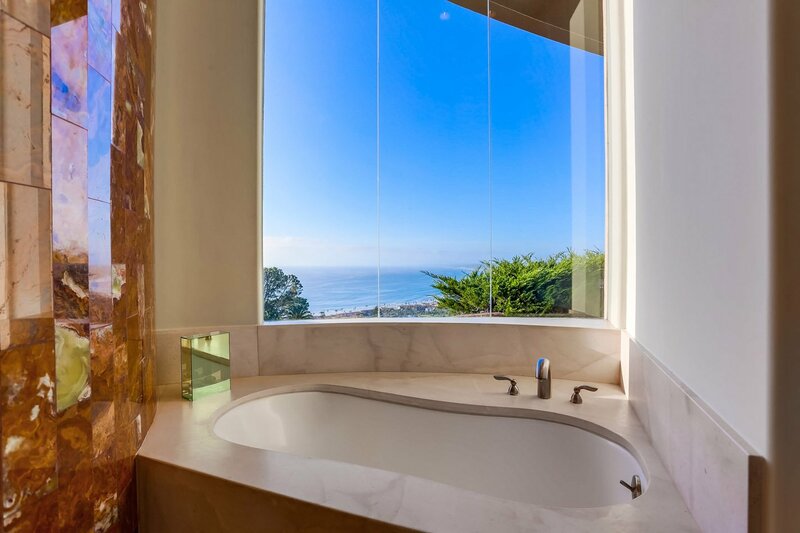 Overlooking the mighty Pacific, rests the opulent Essencia estate. 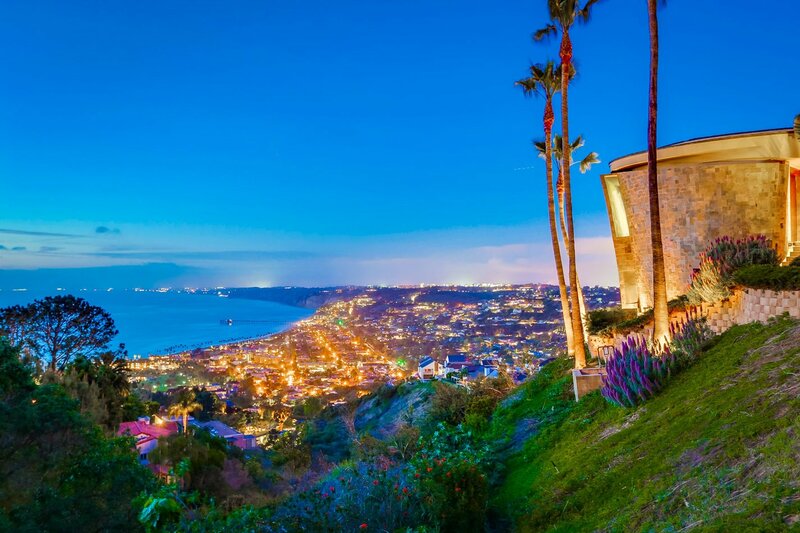 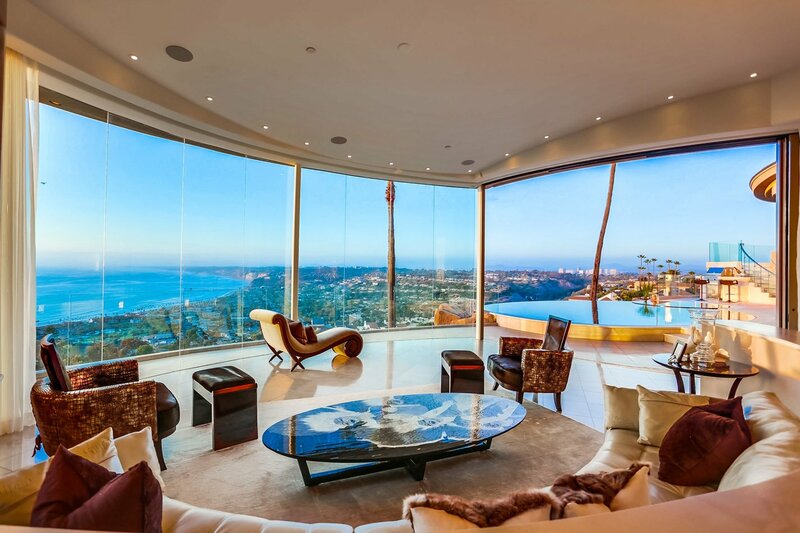 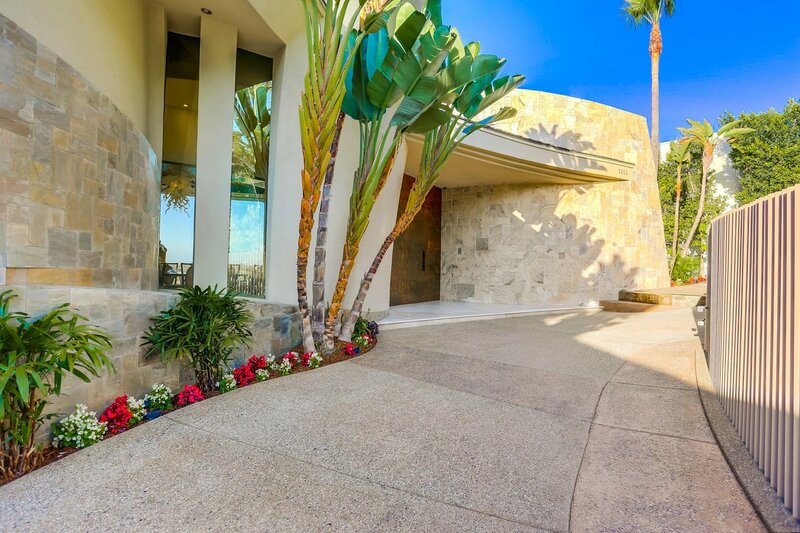 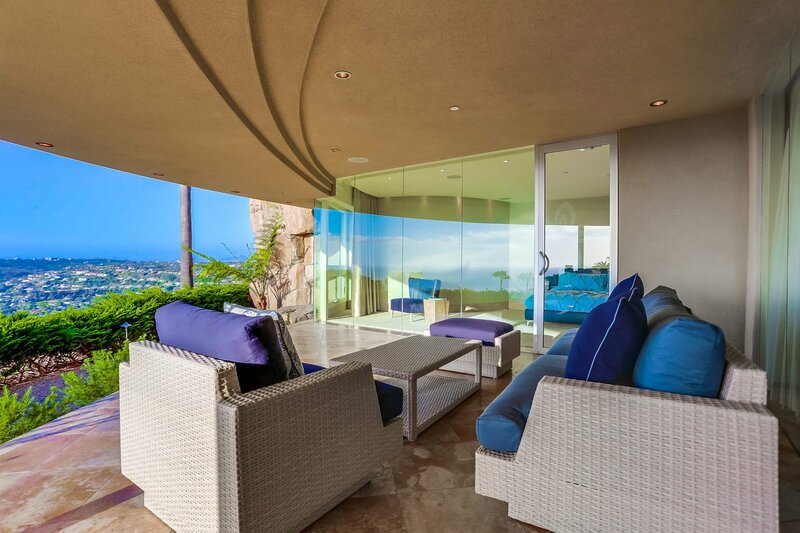 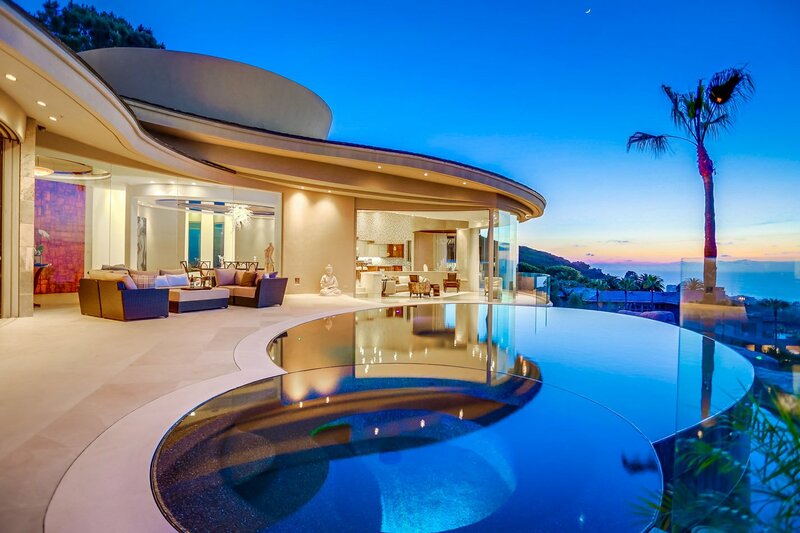 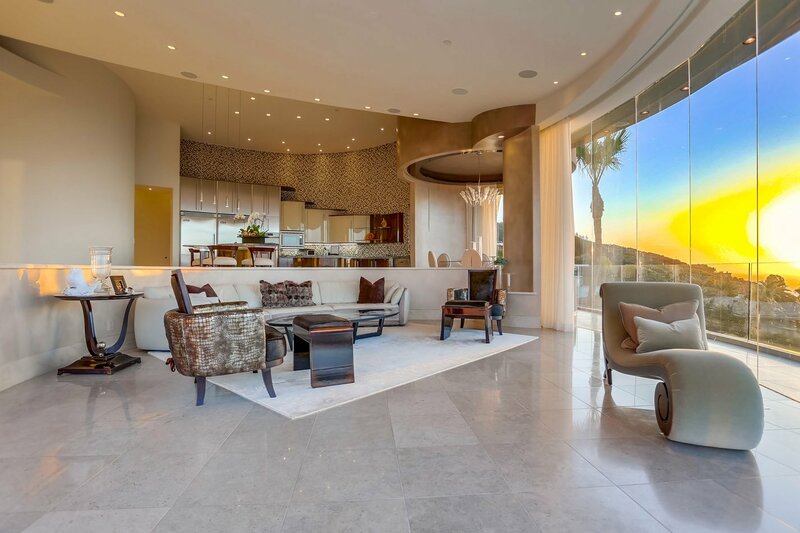 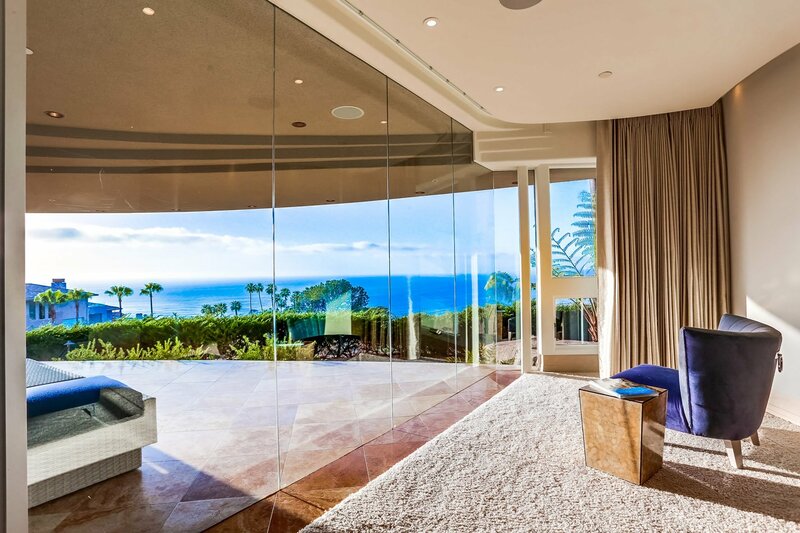 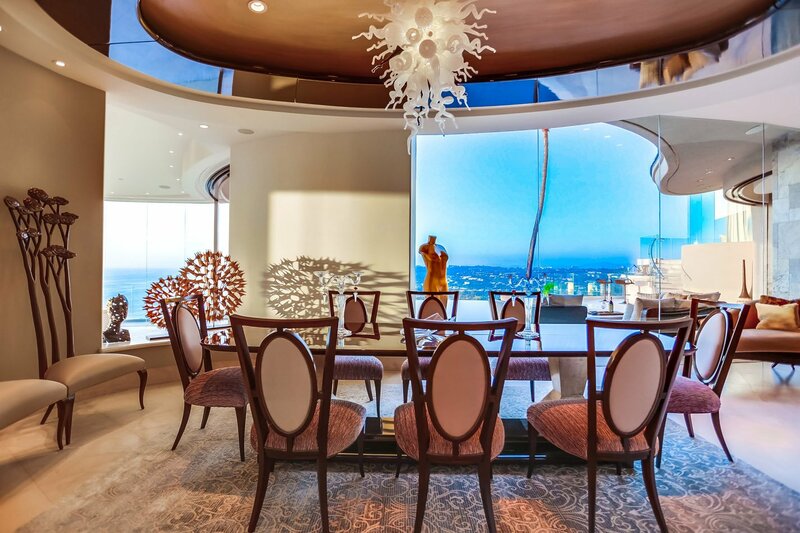 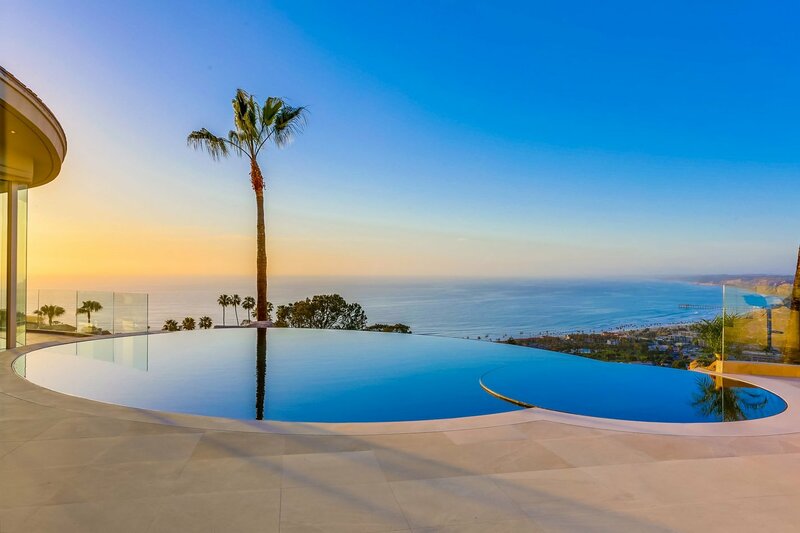 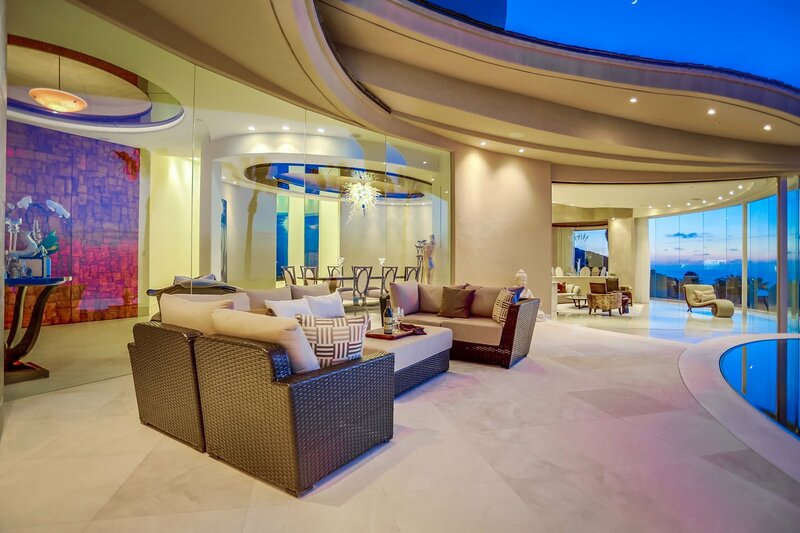 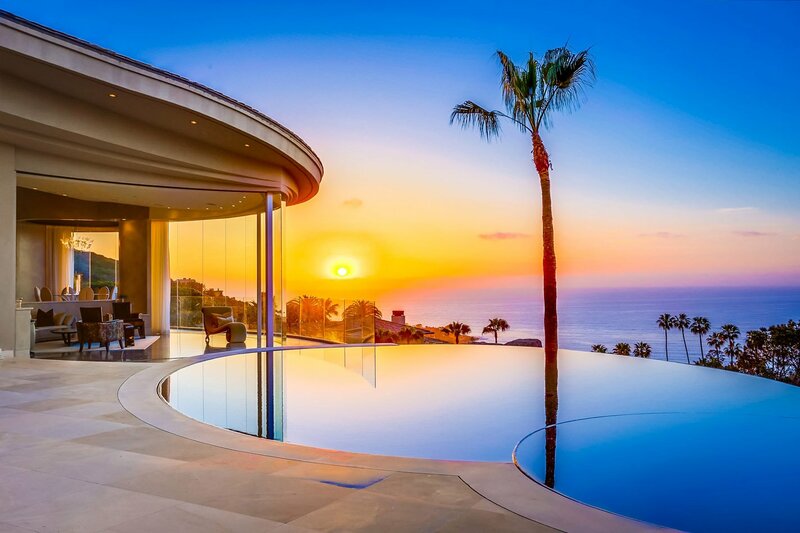 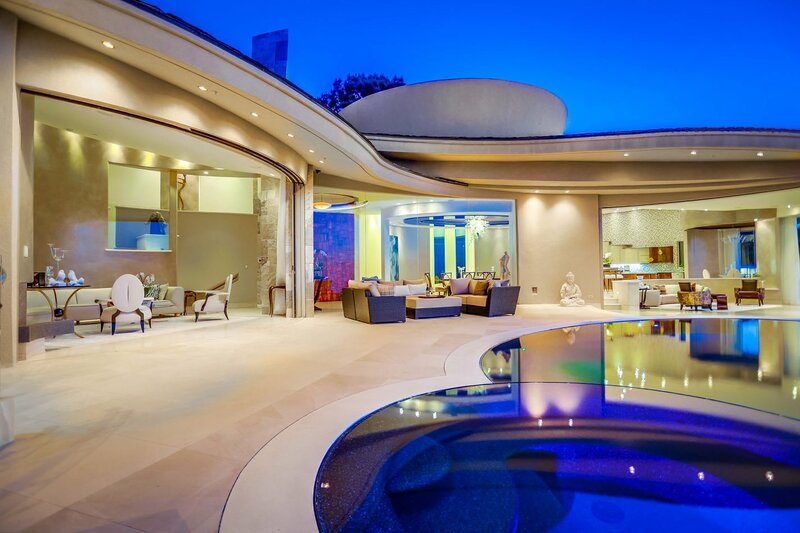 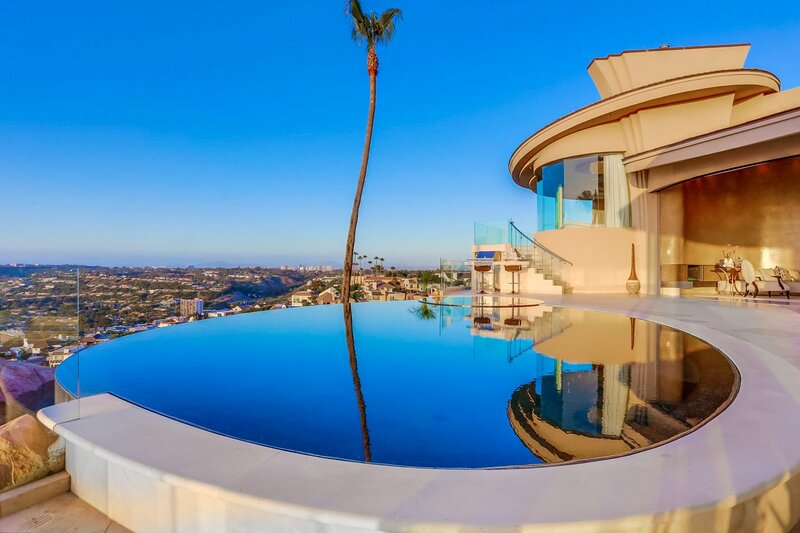 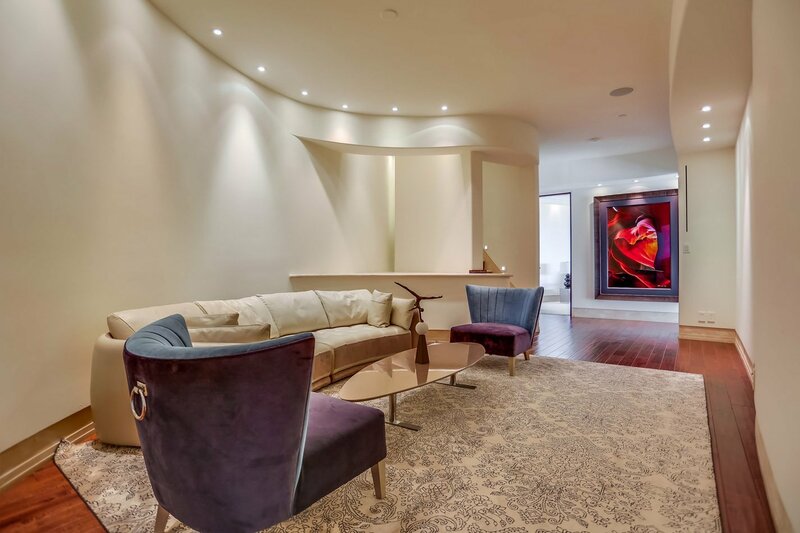 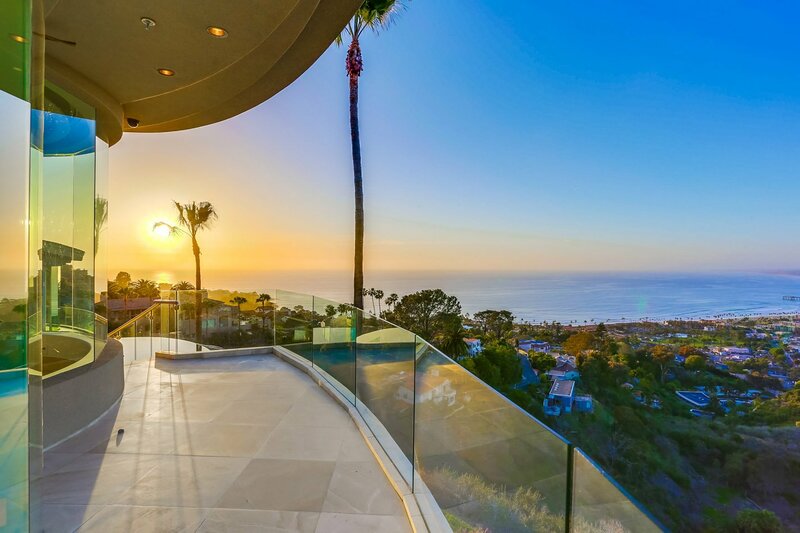 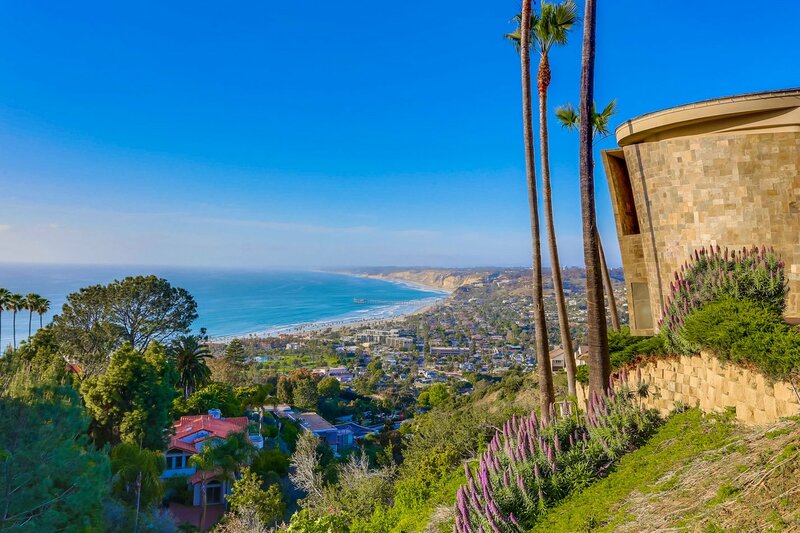 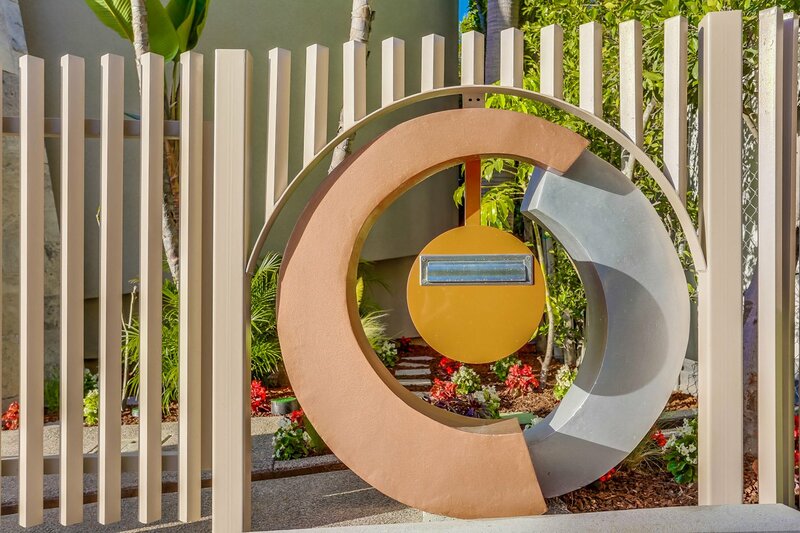 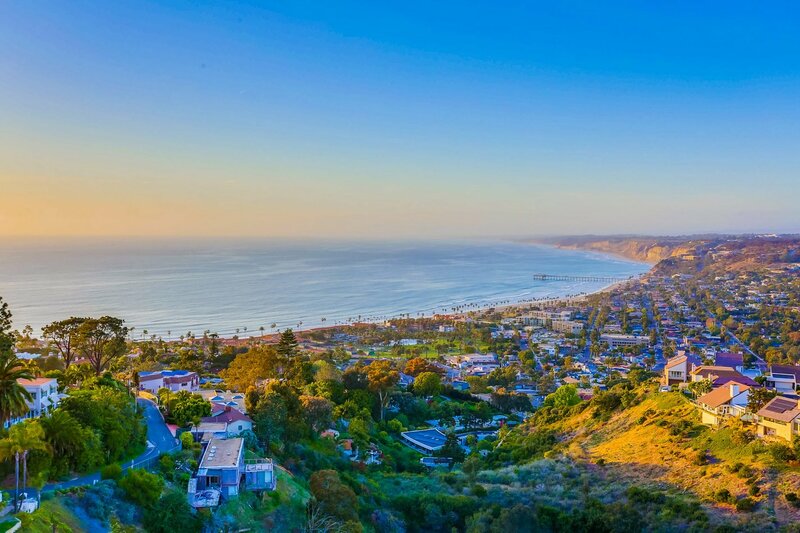 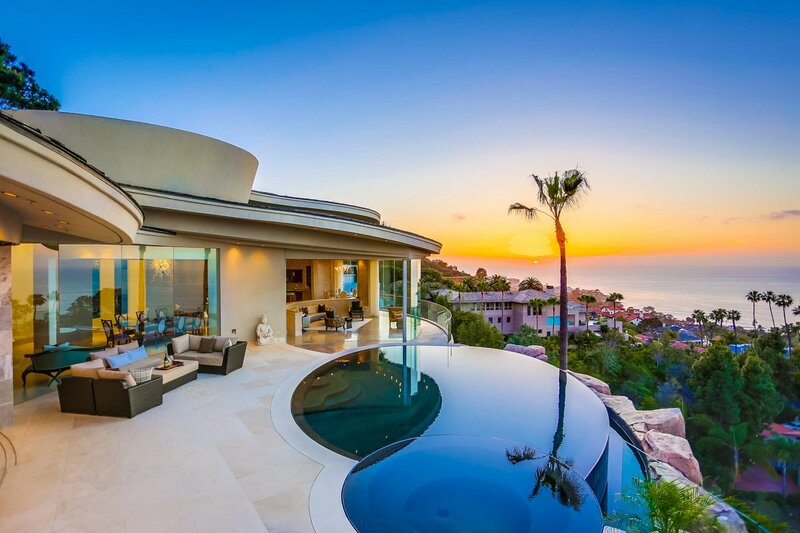 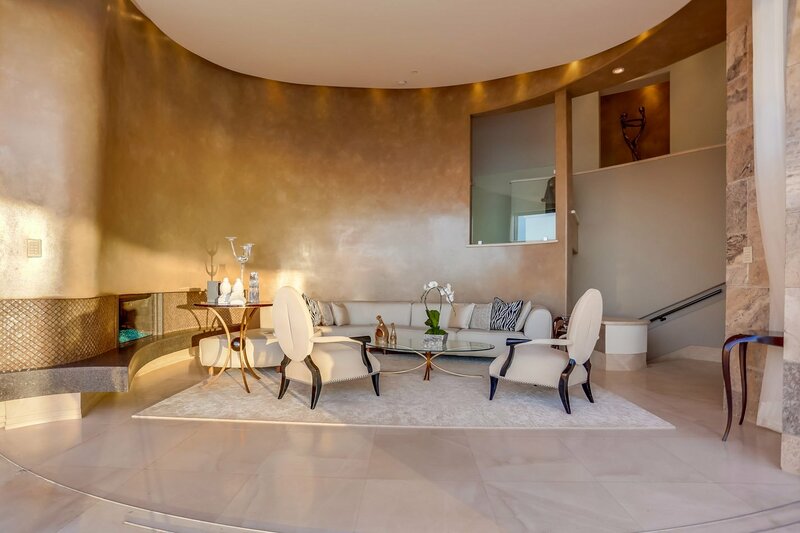 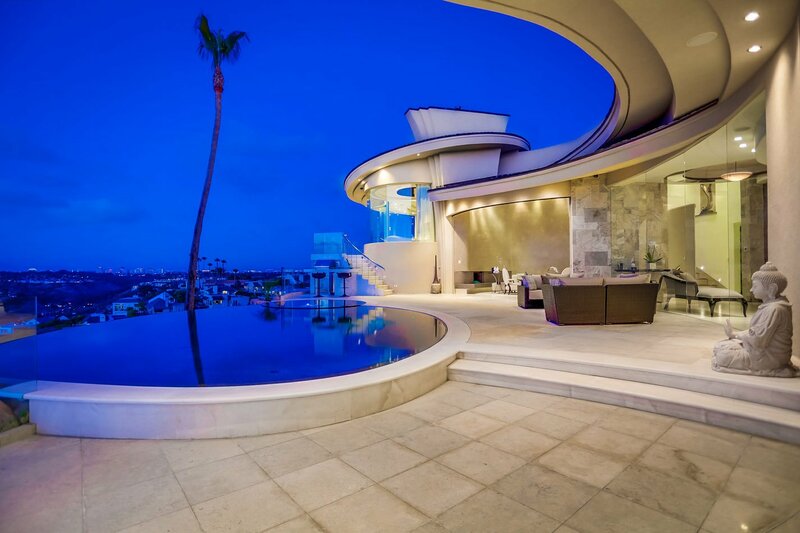 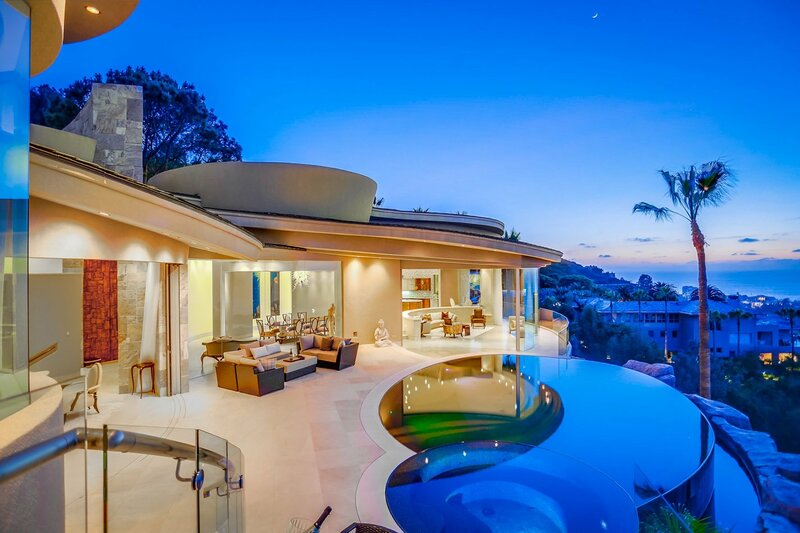 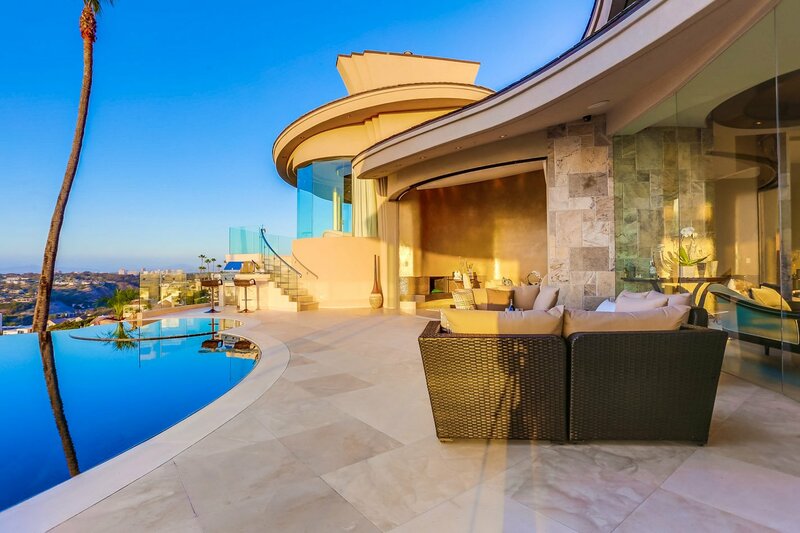 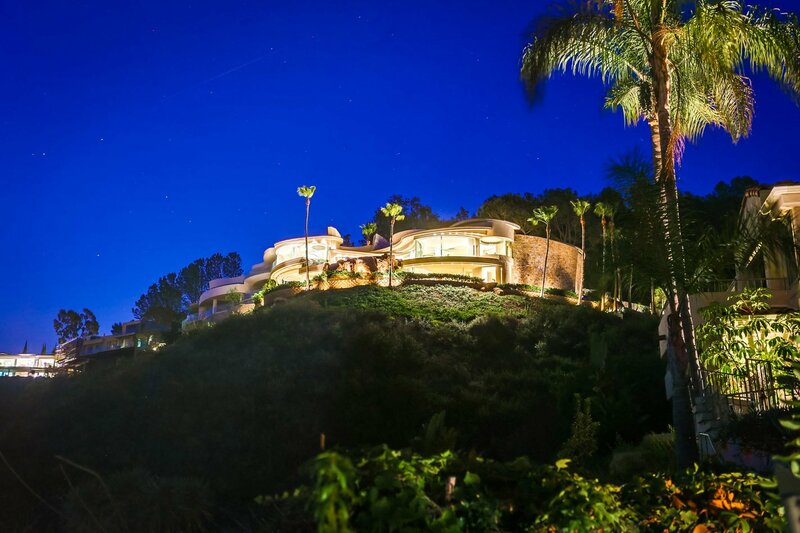 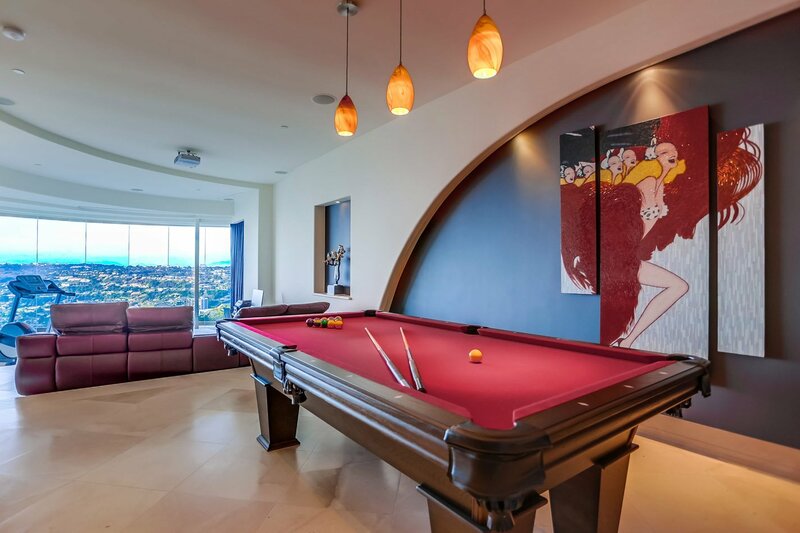 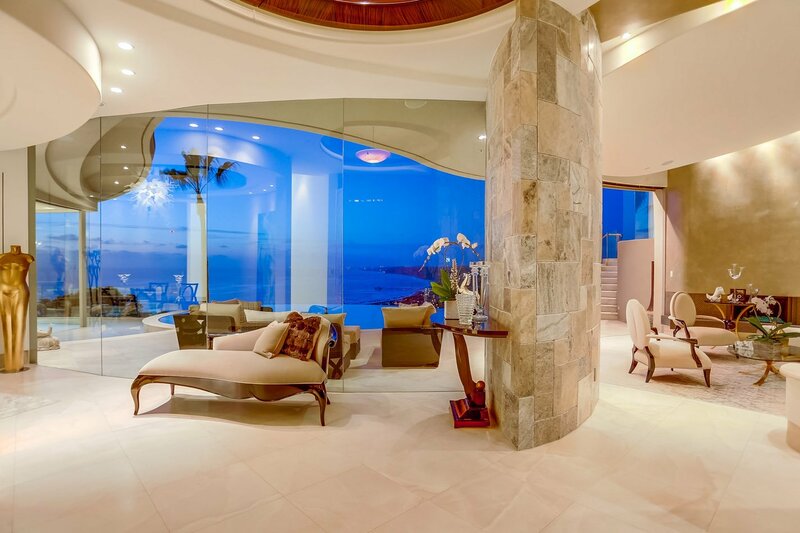 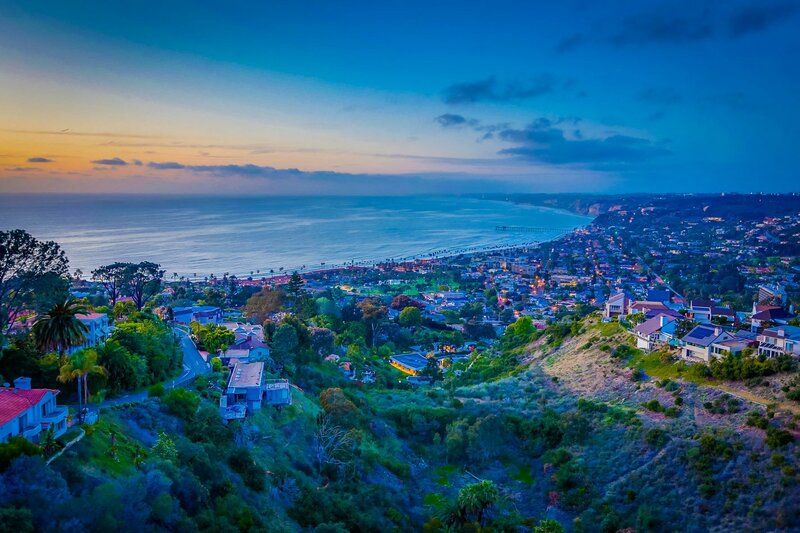 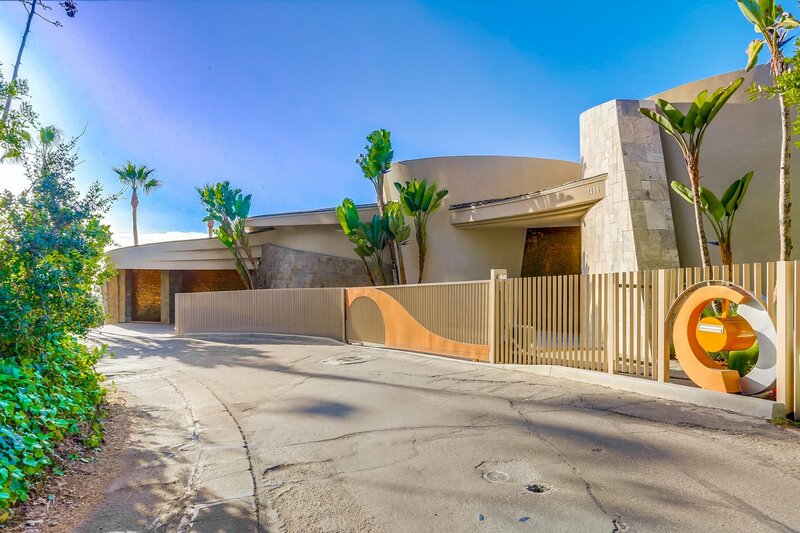 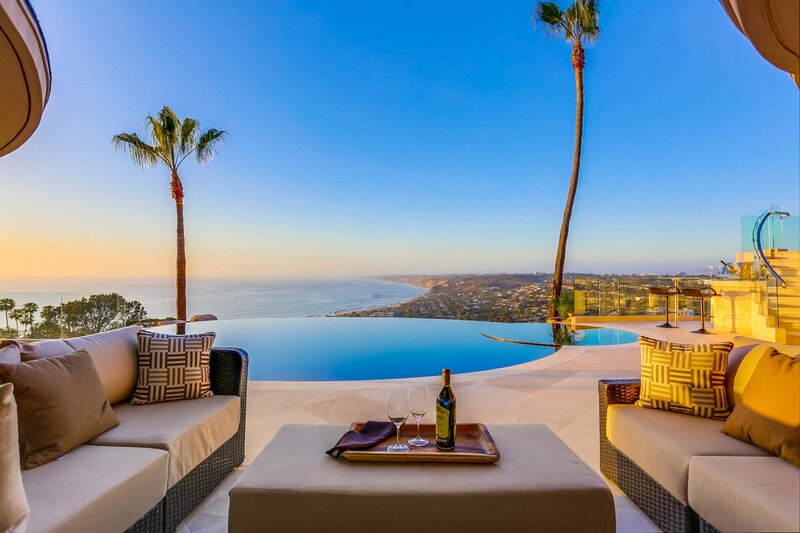 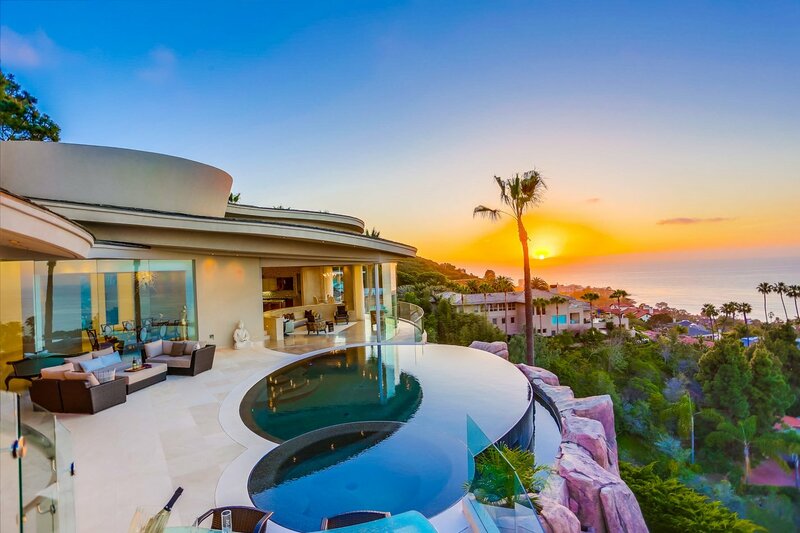 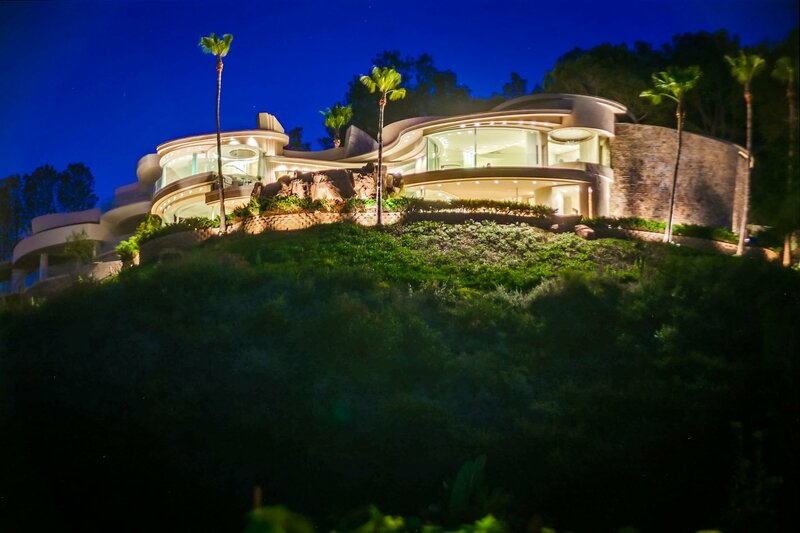 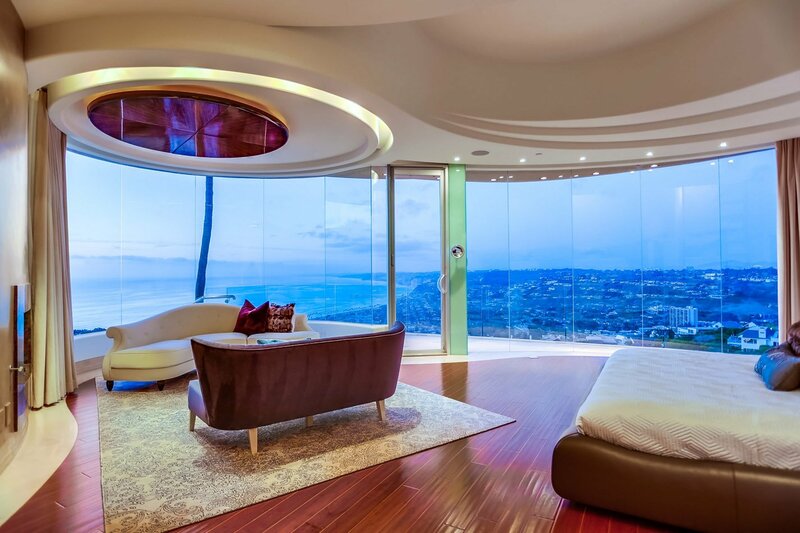 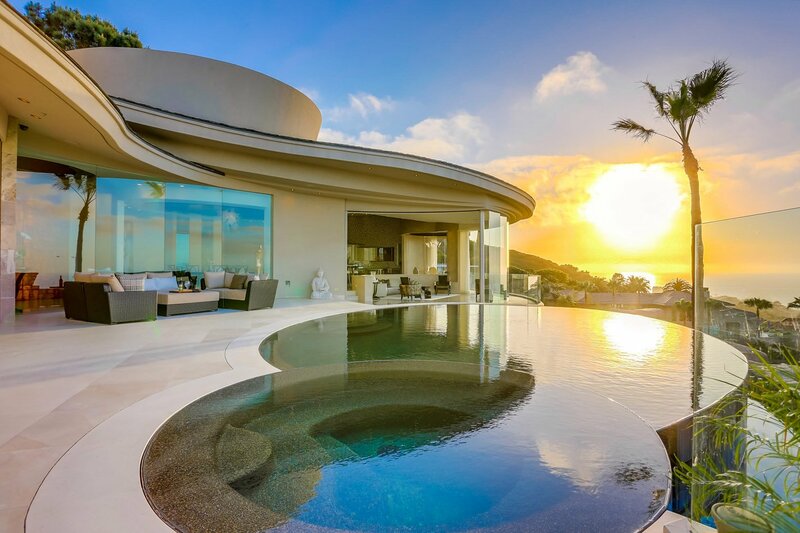 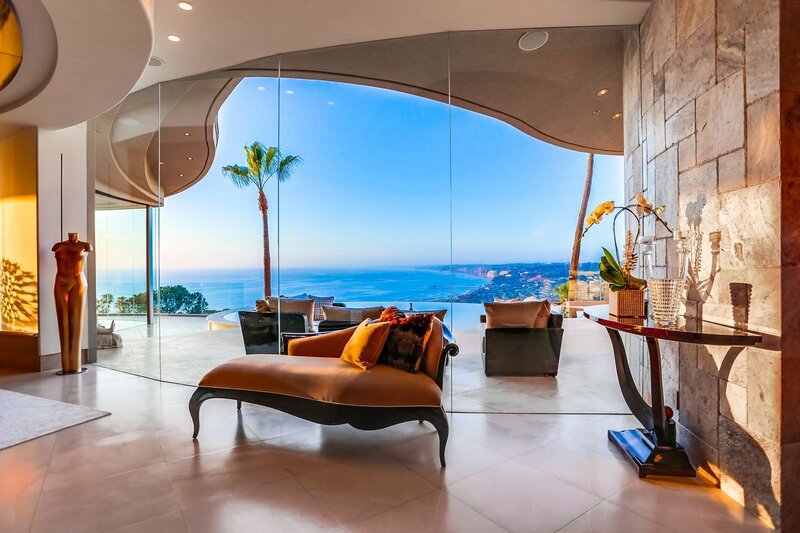 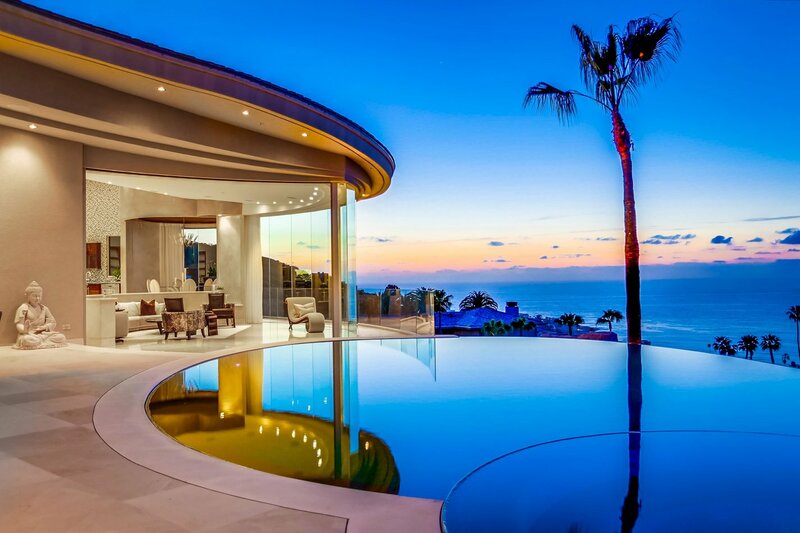 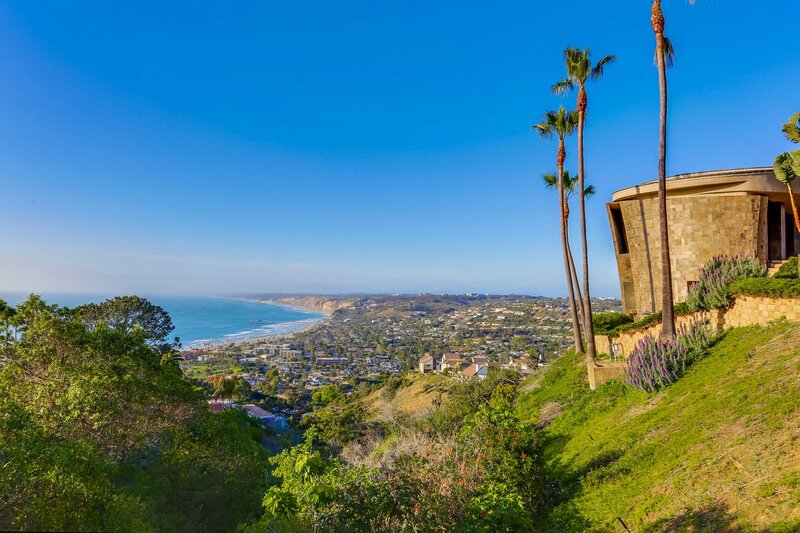 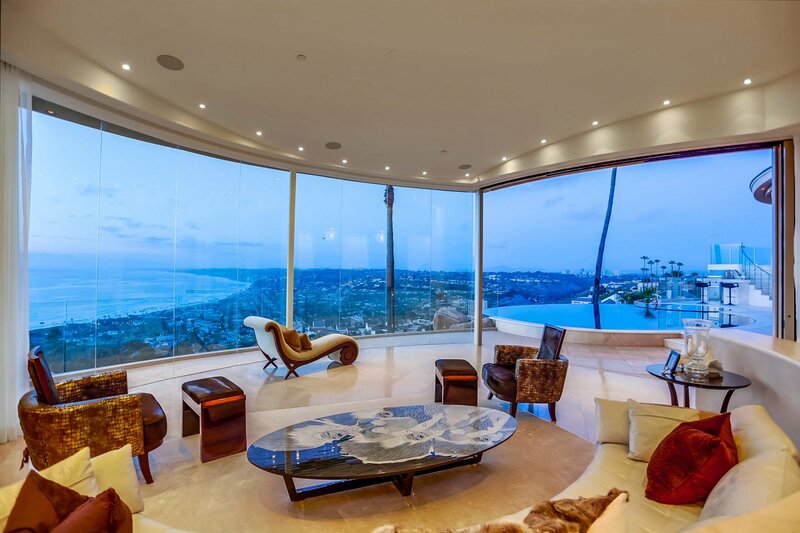 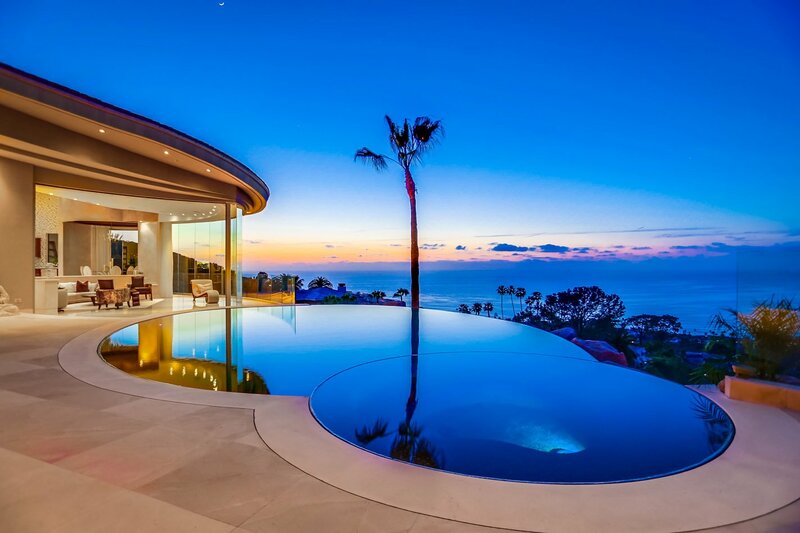 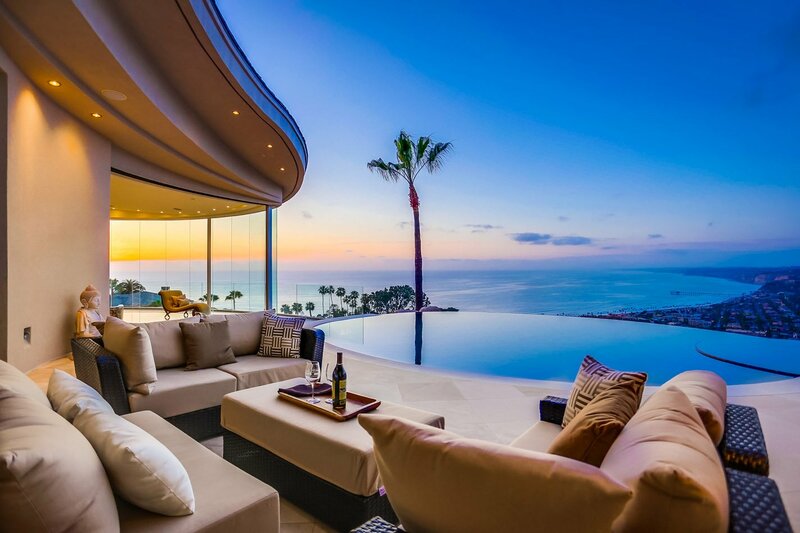 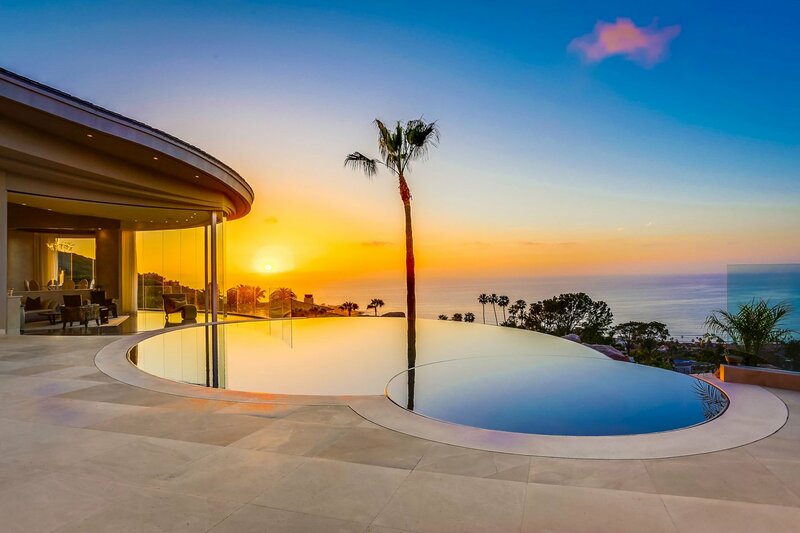 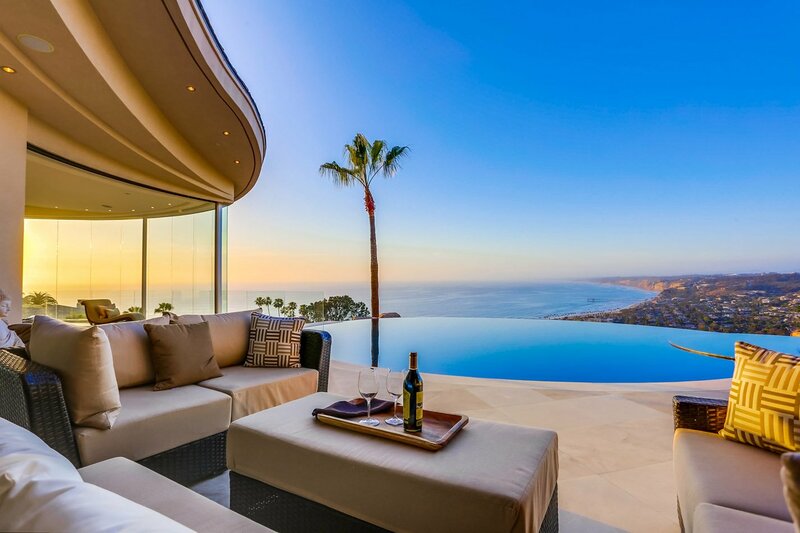 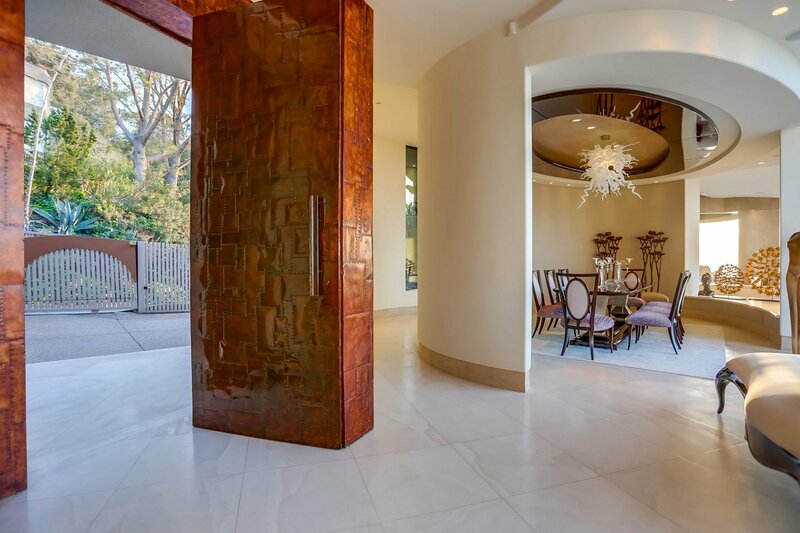 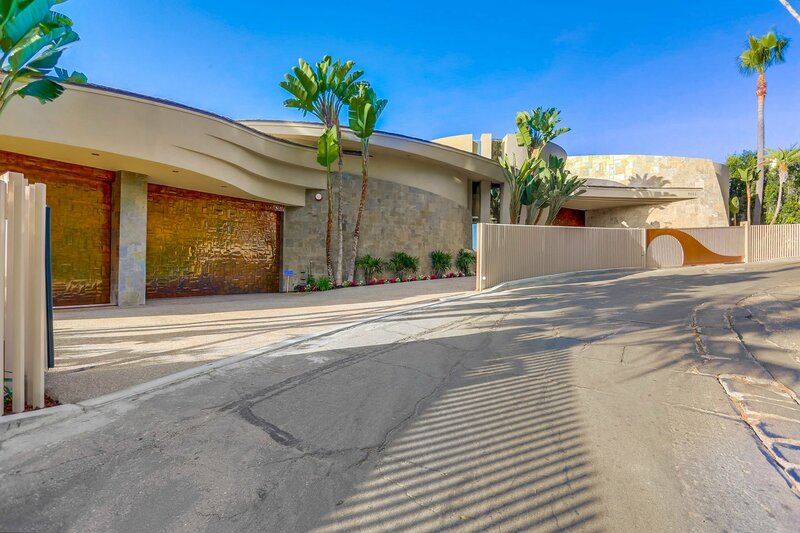 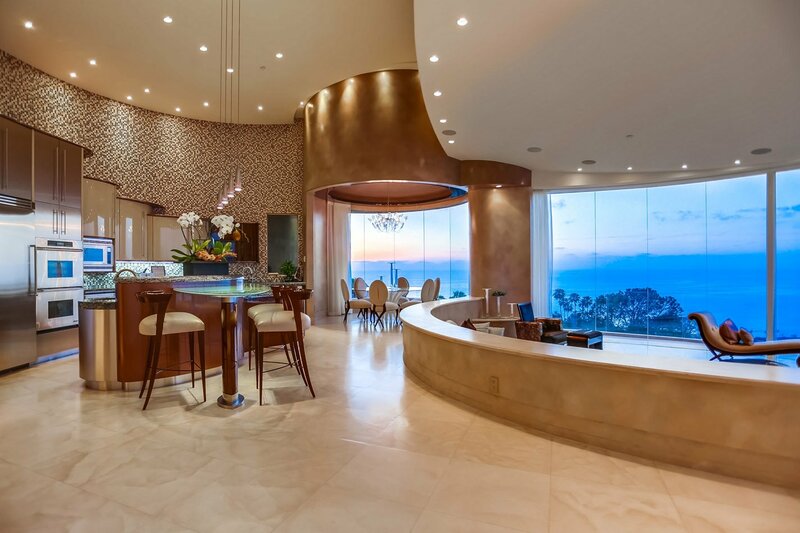 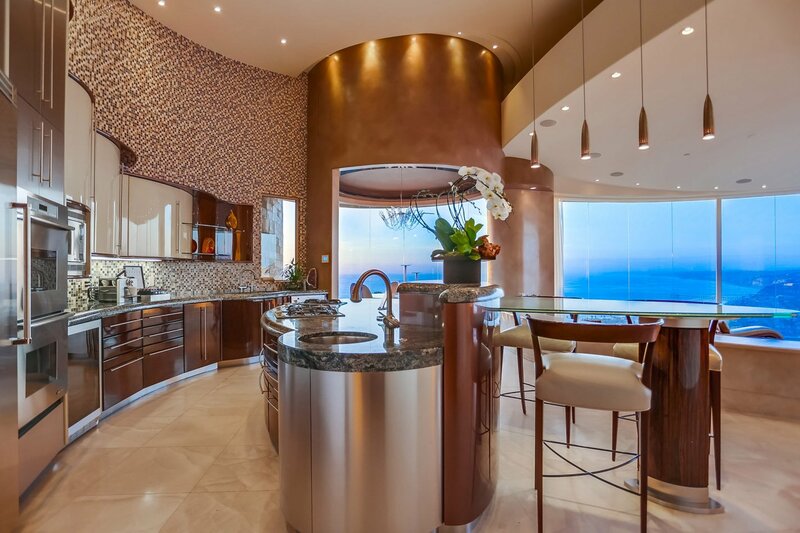 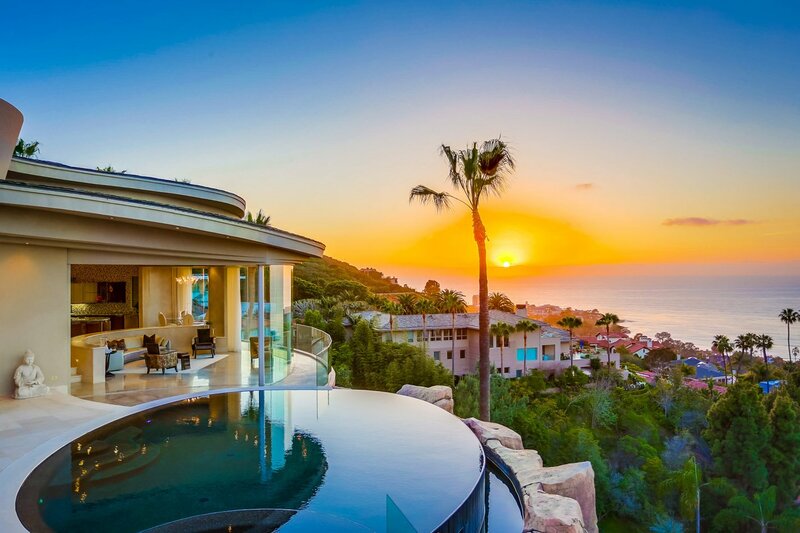 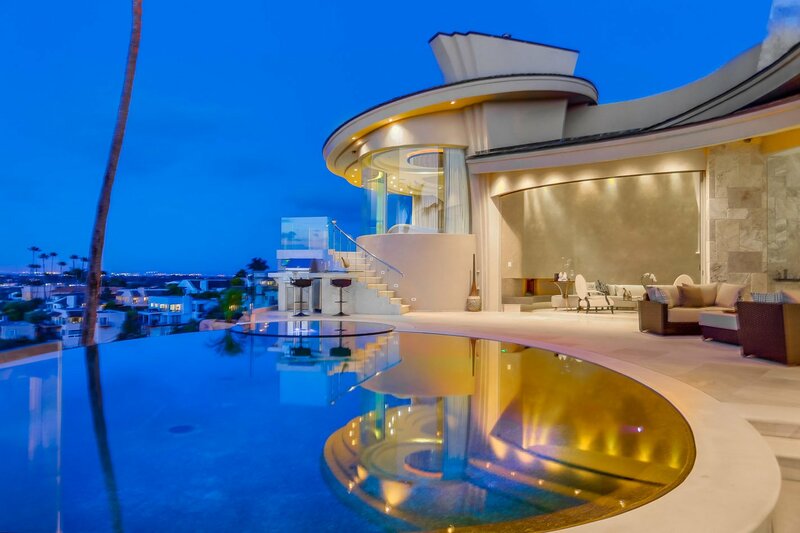 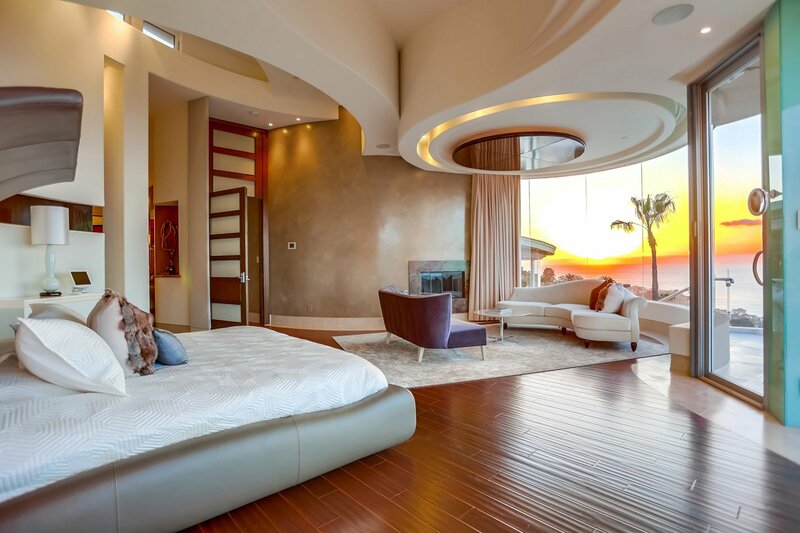 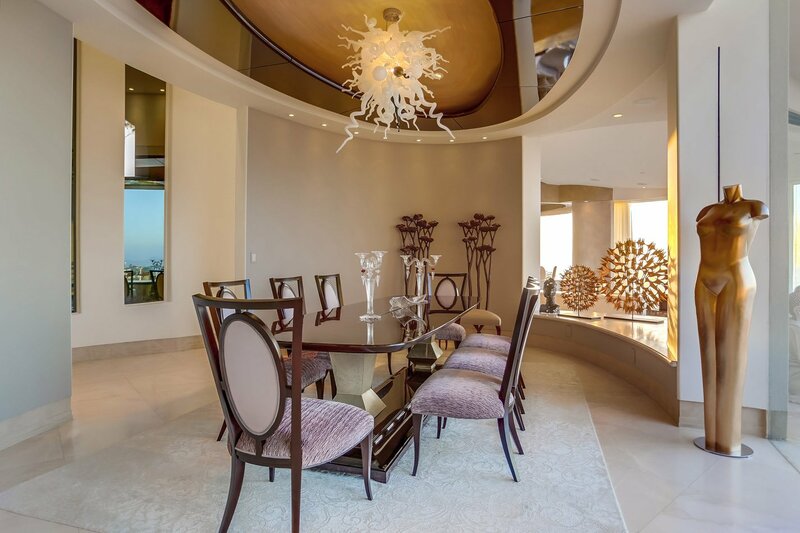 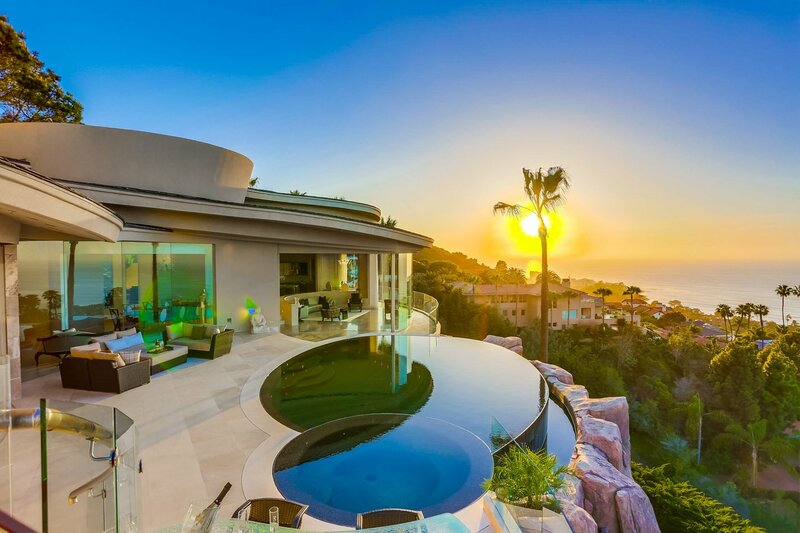 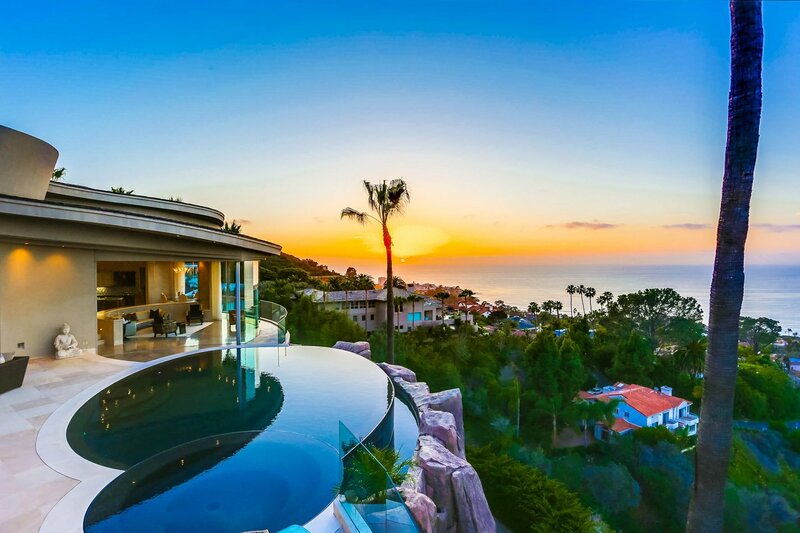 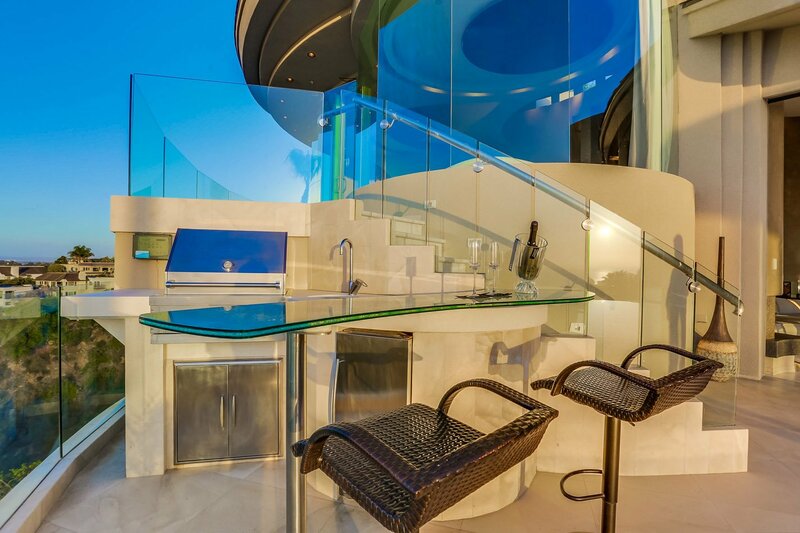 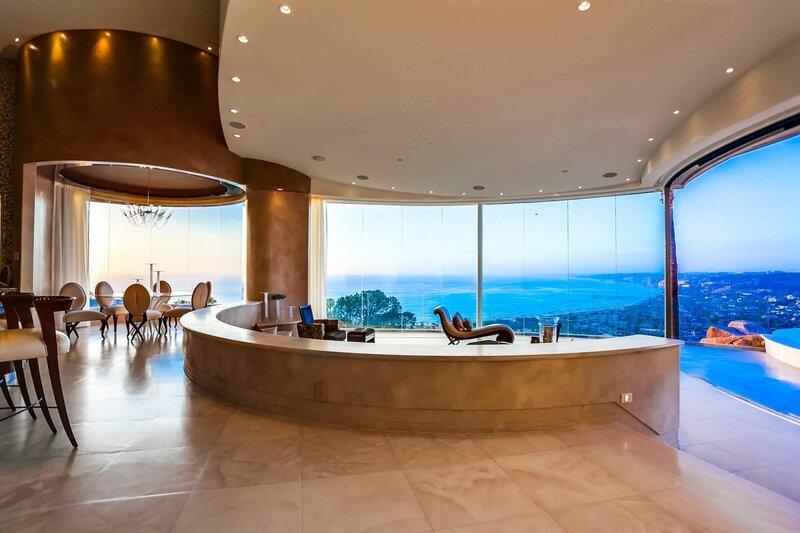 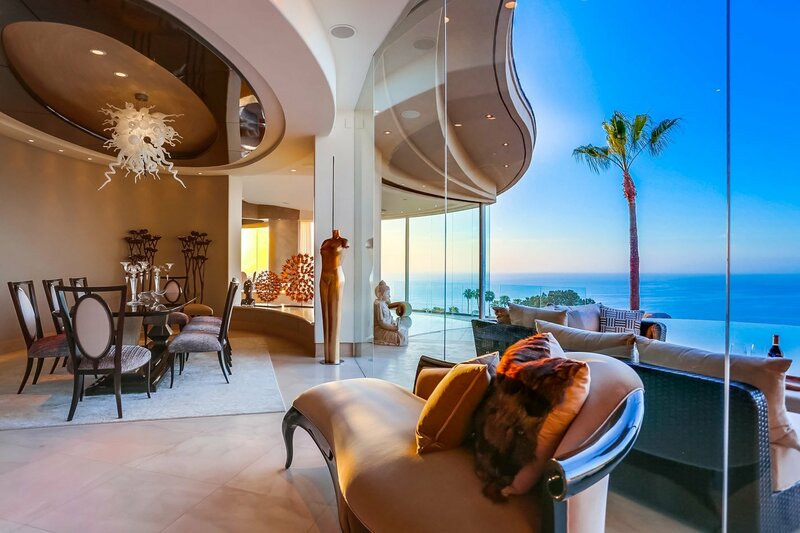 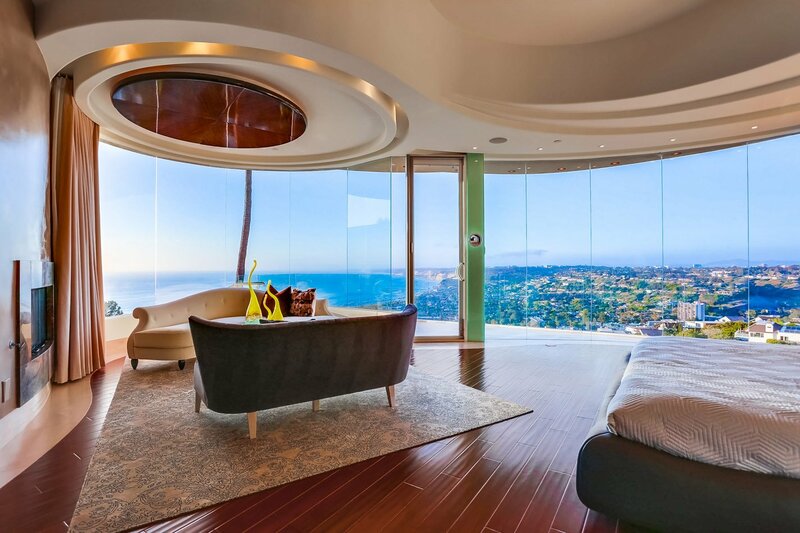 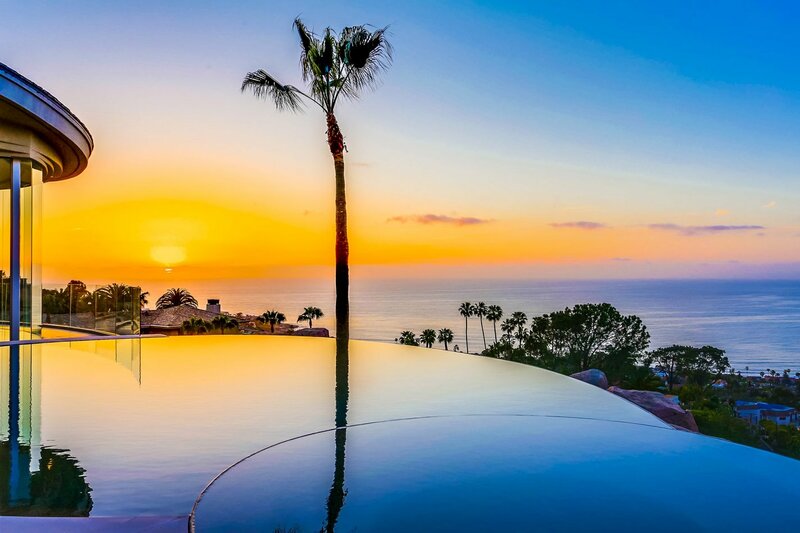 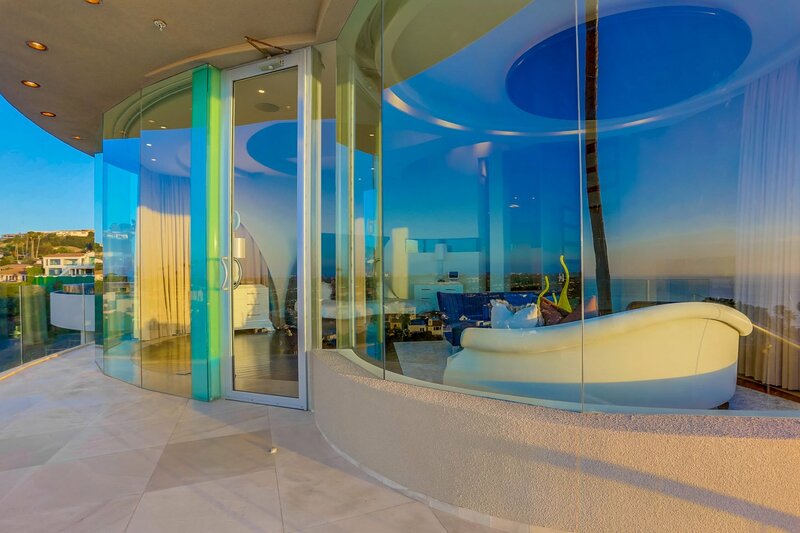 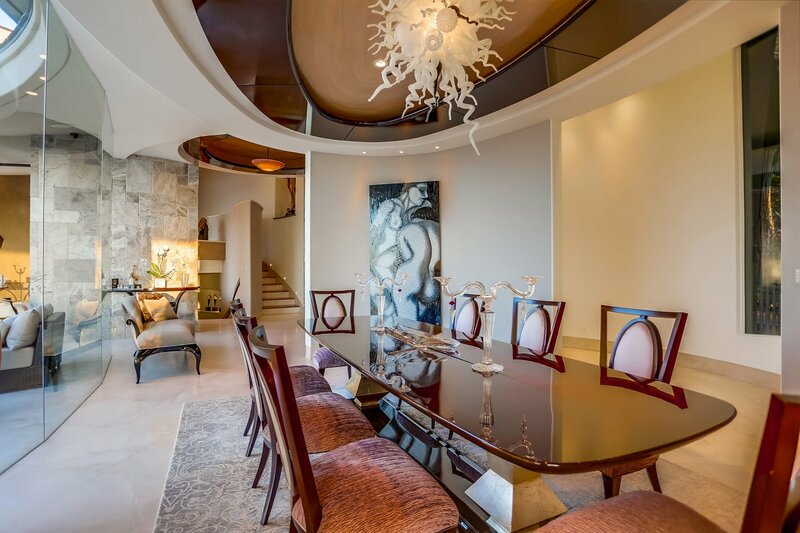 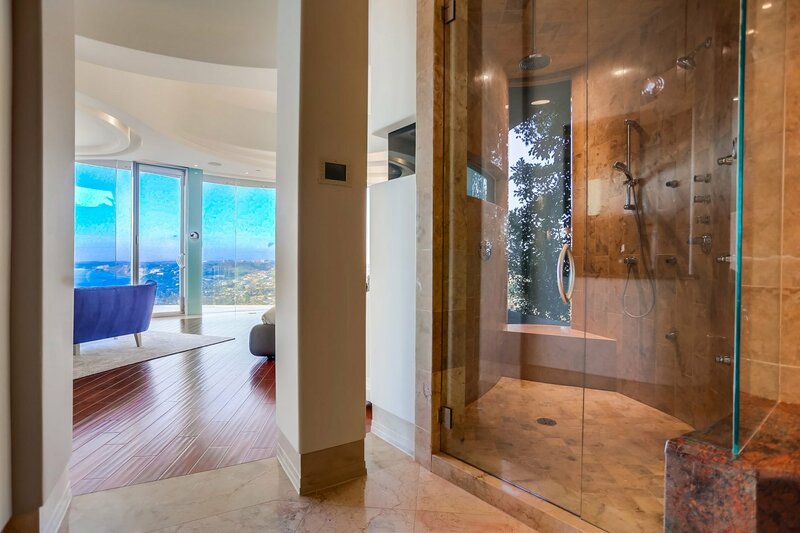 Situated in the Hollywood Hills of La Jolla this masterpiece captures the stunning grandeur of modern architecture. 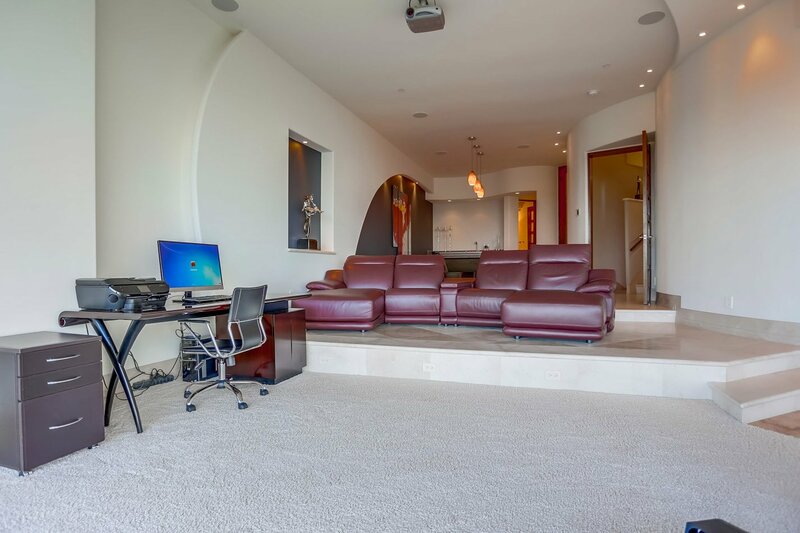 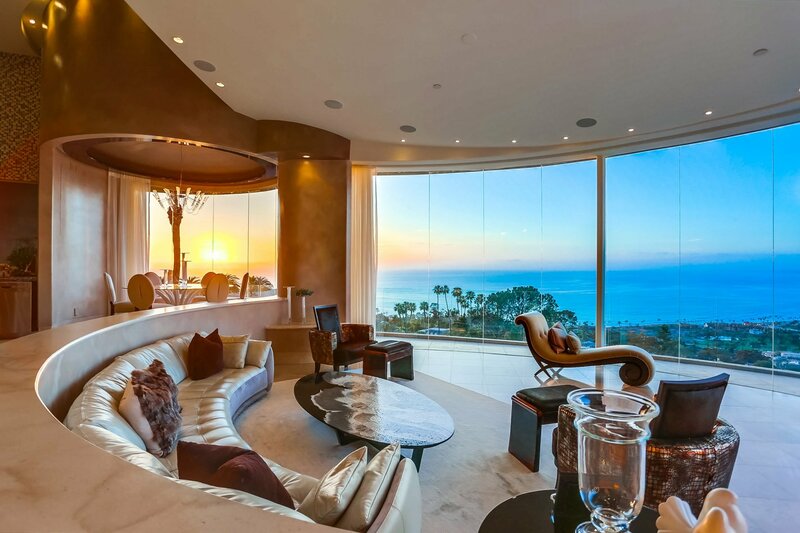 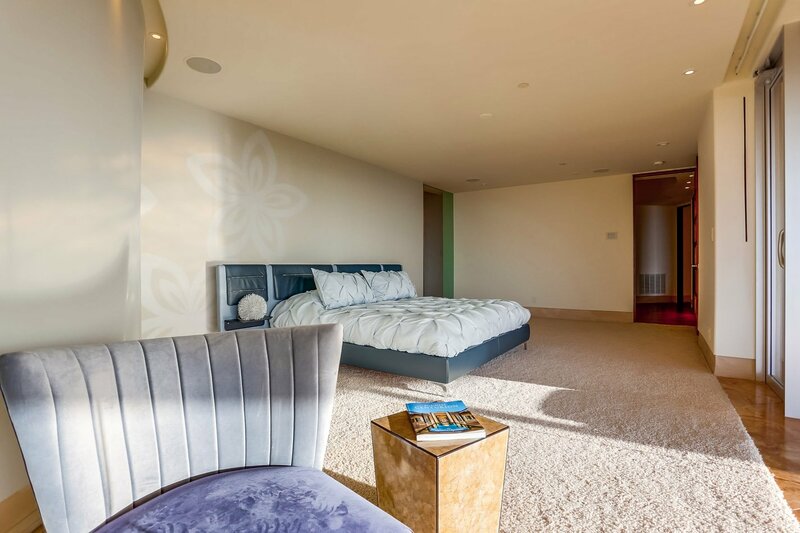 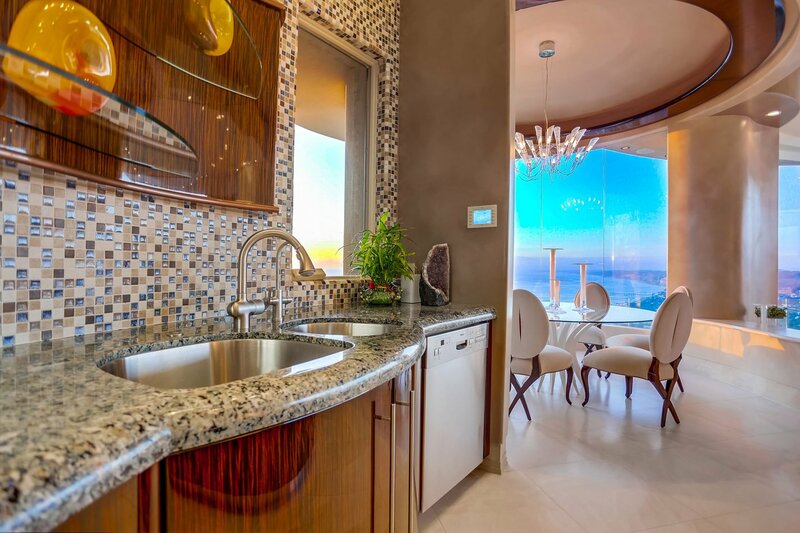 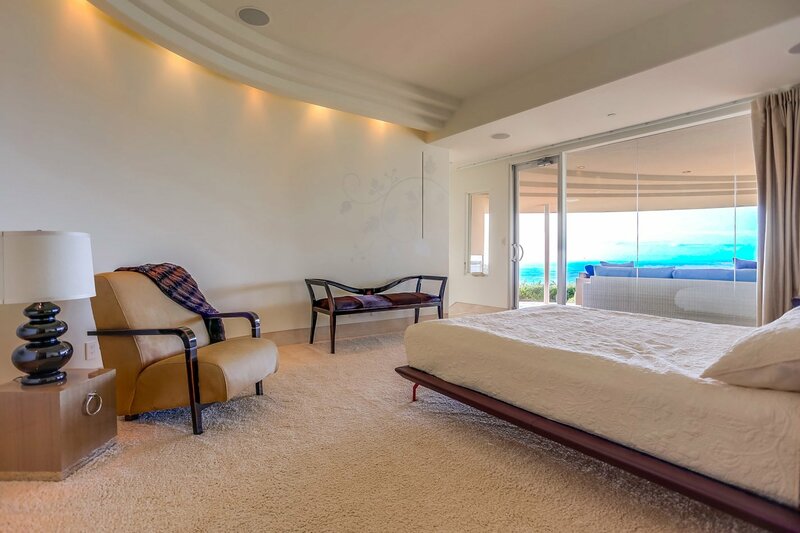 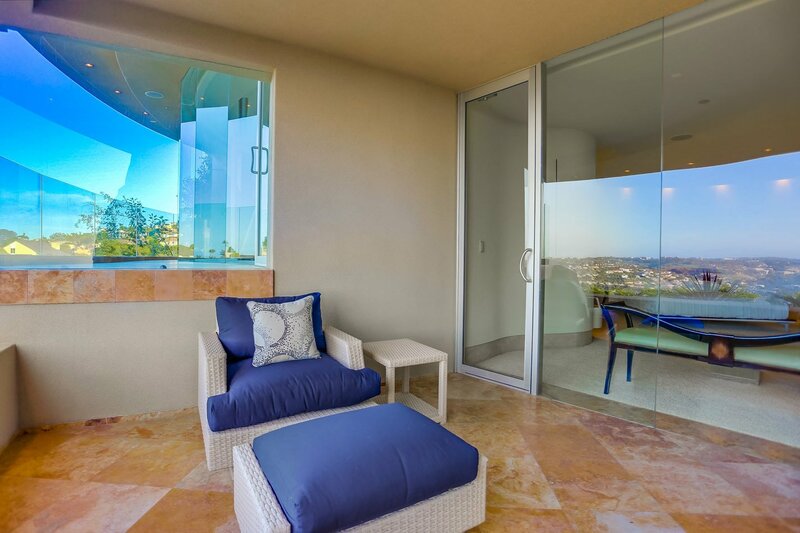 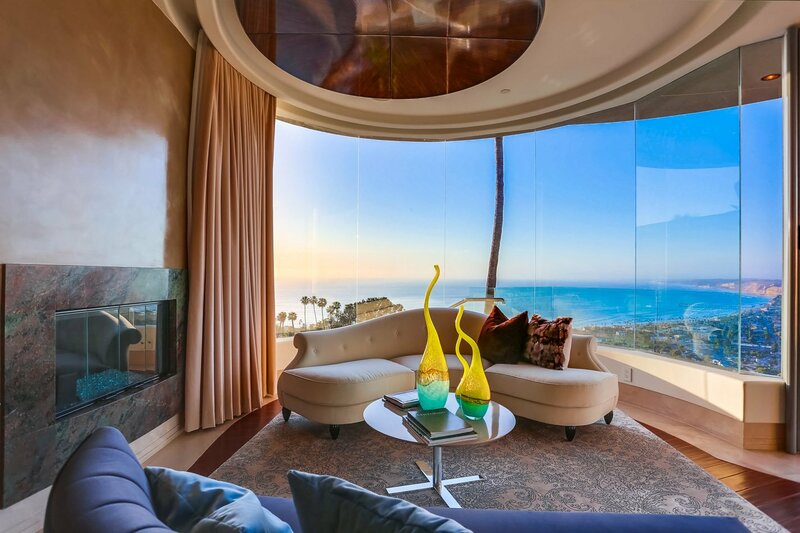 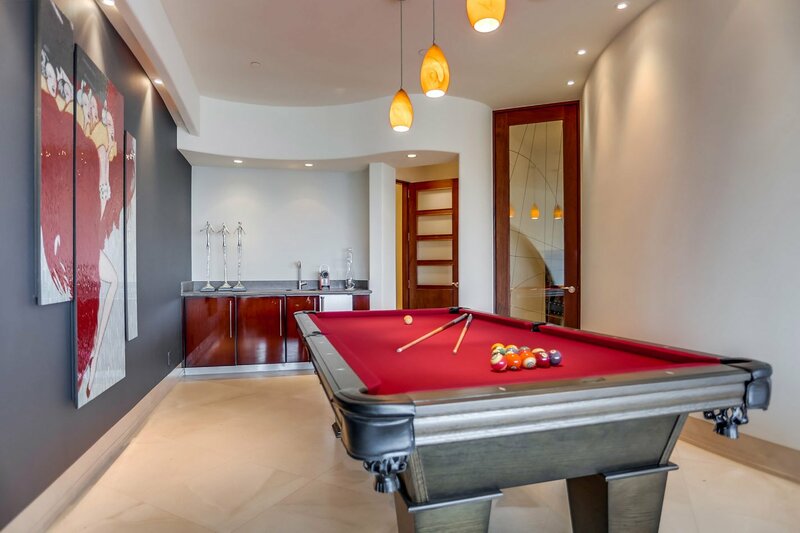 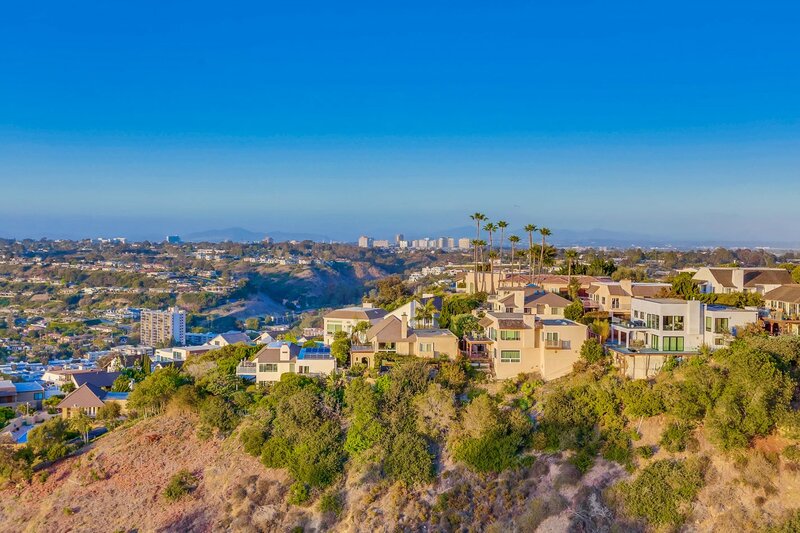 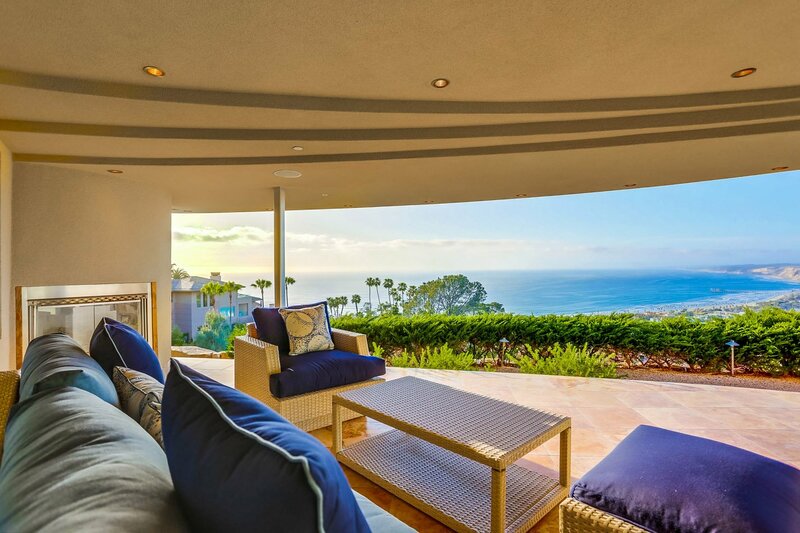 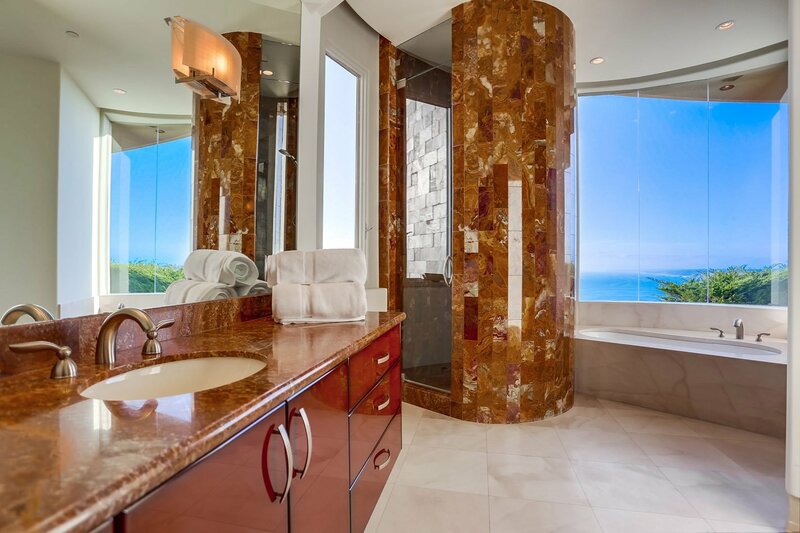 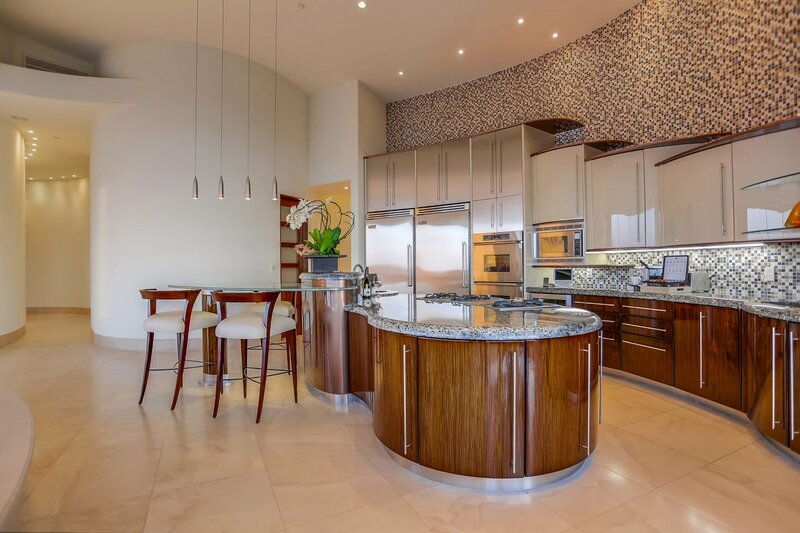 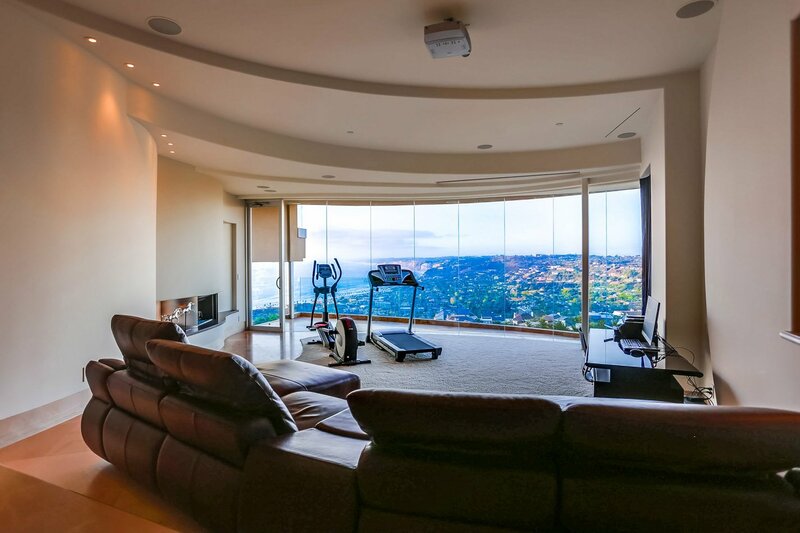 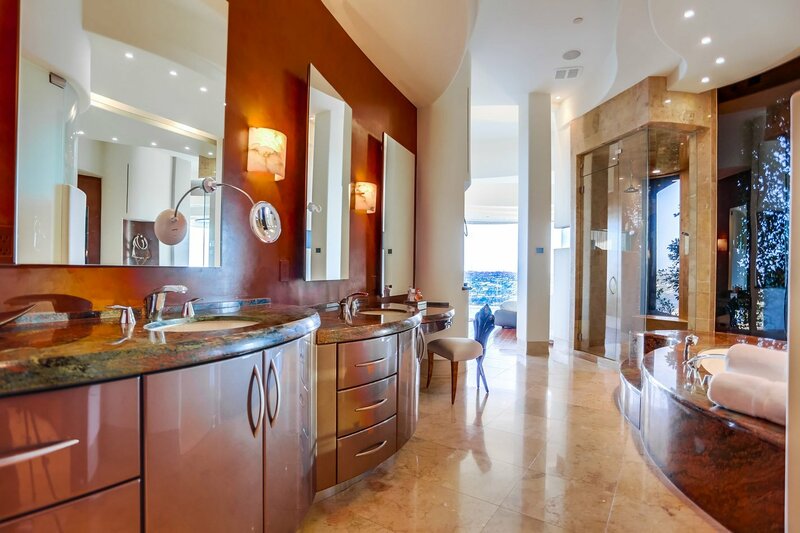 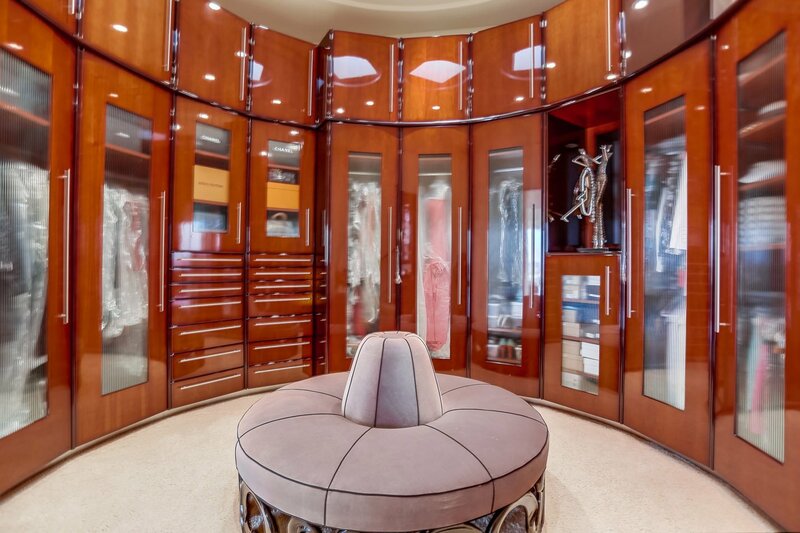 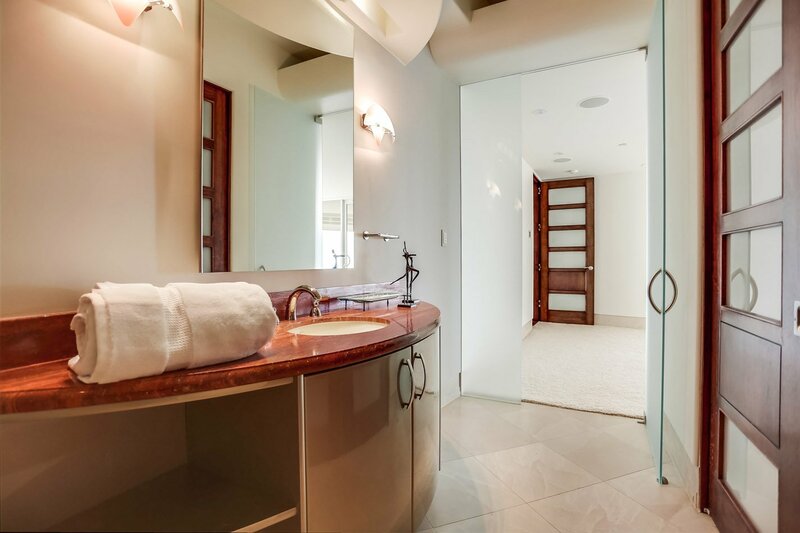 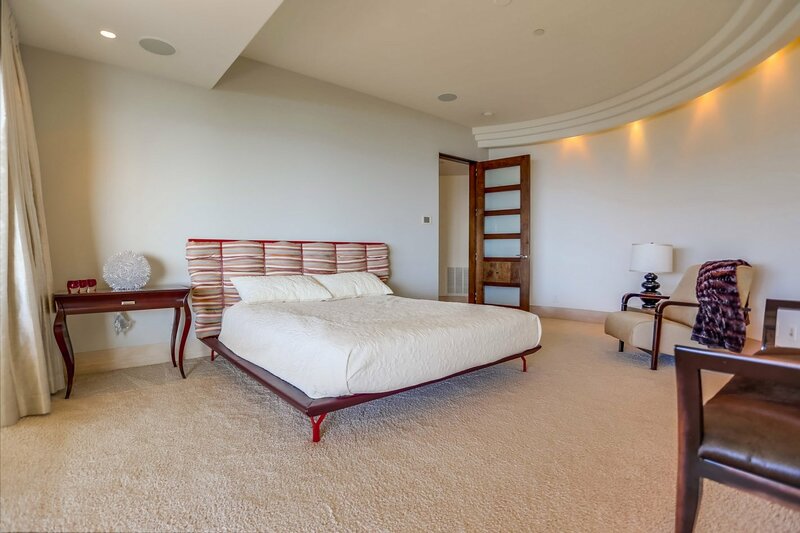 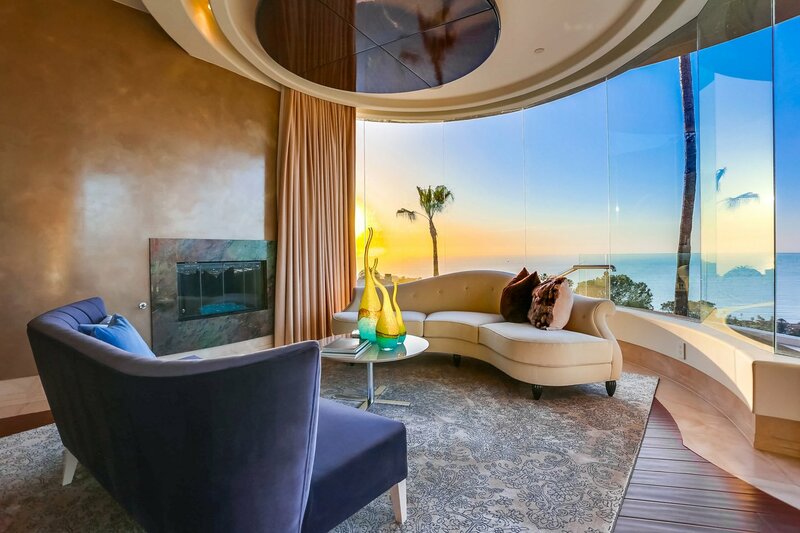 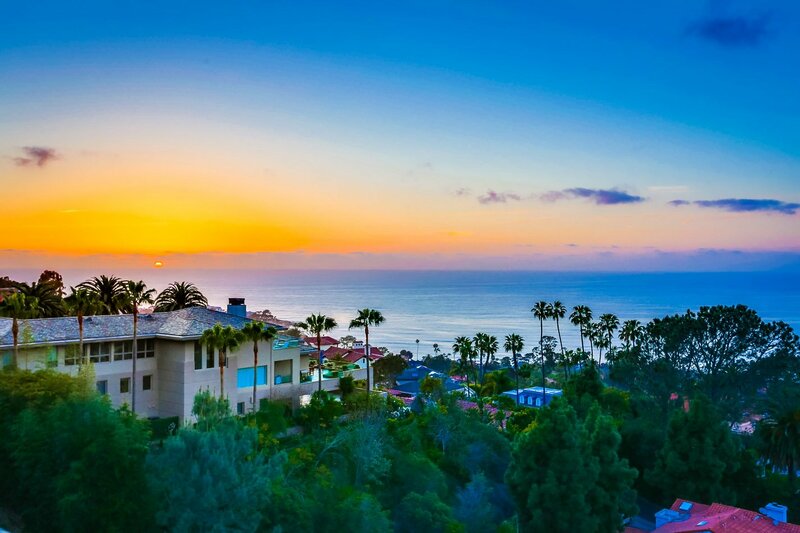 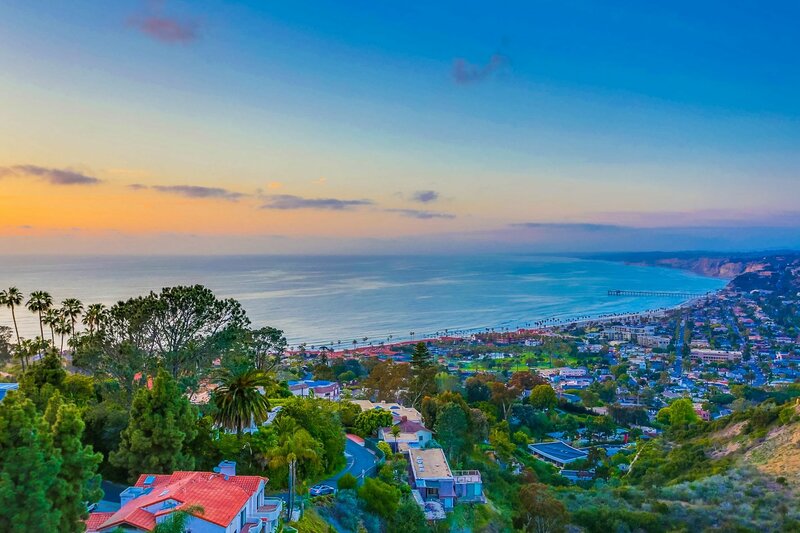 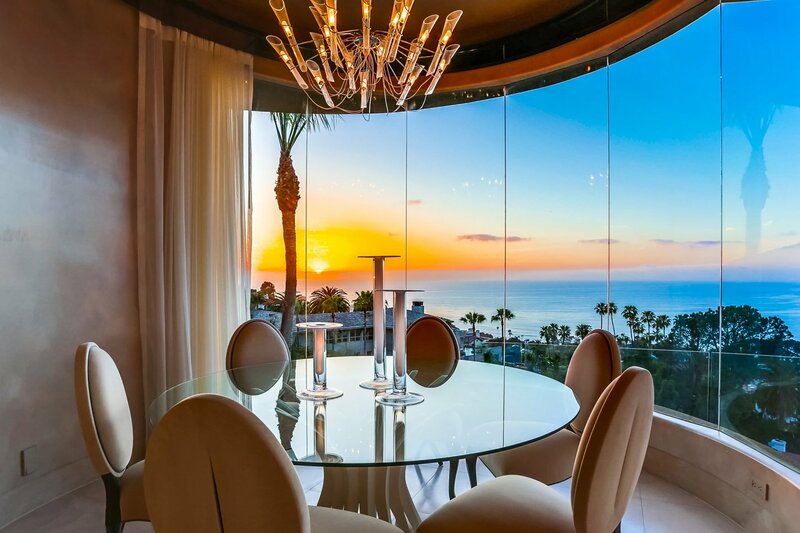 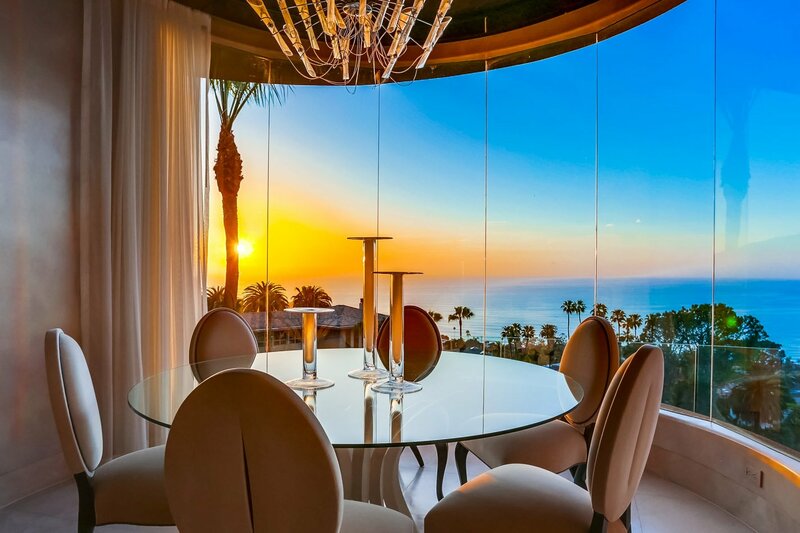 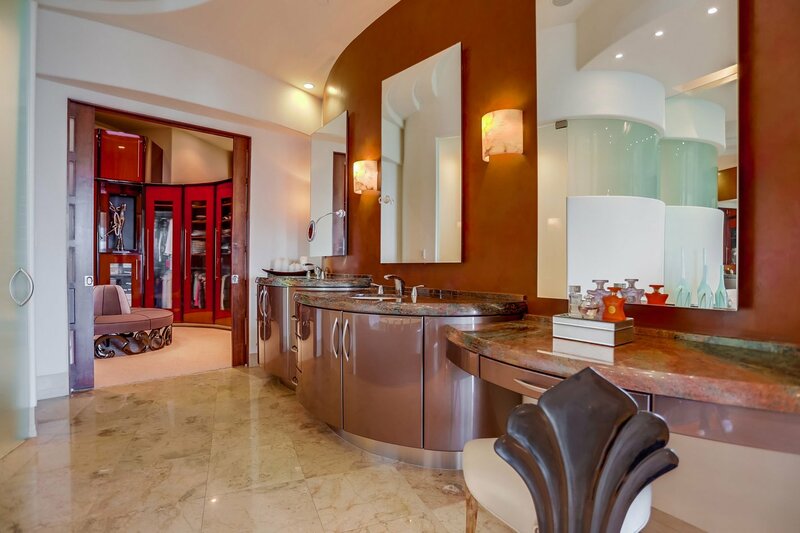 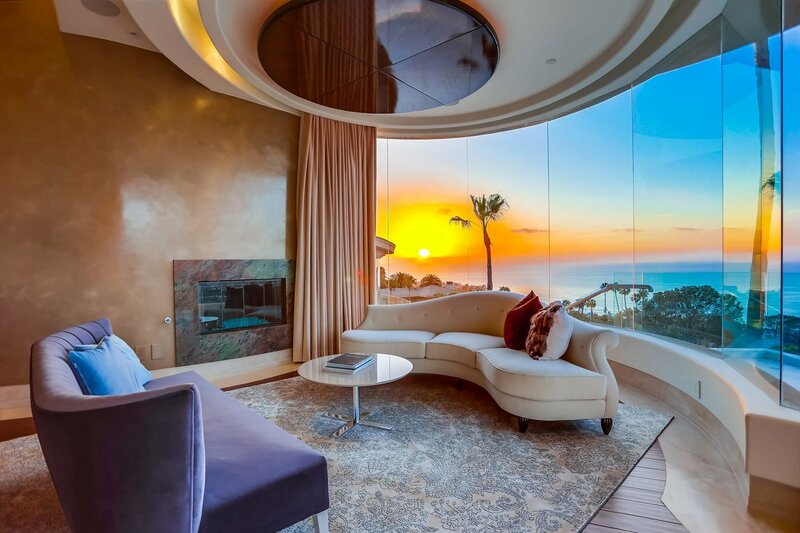 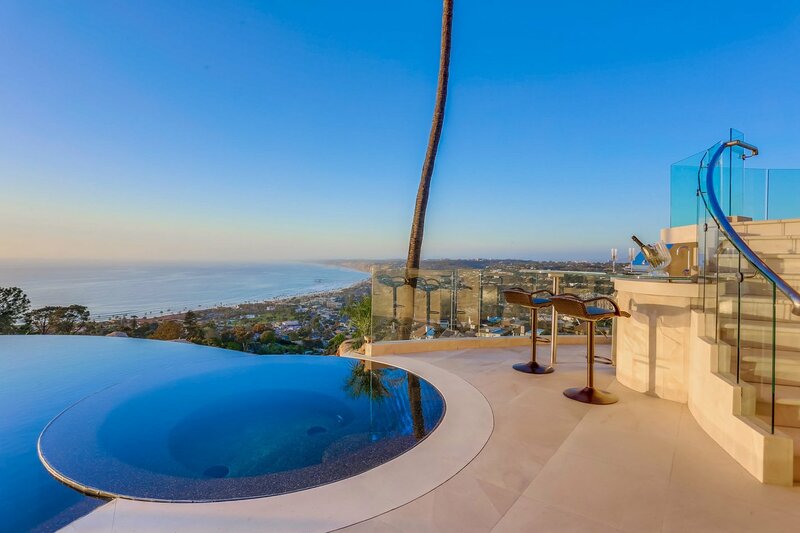 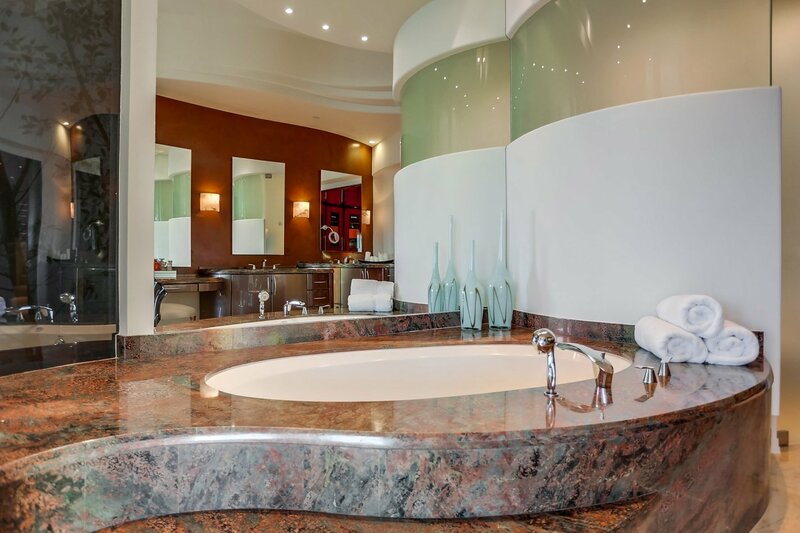 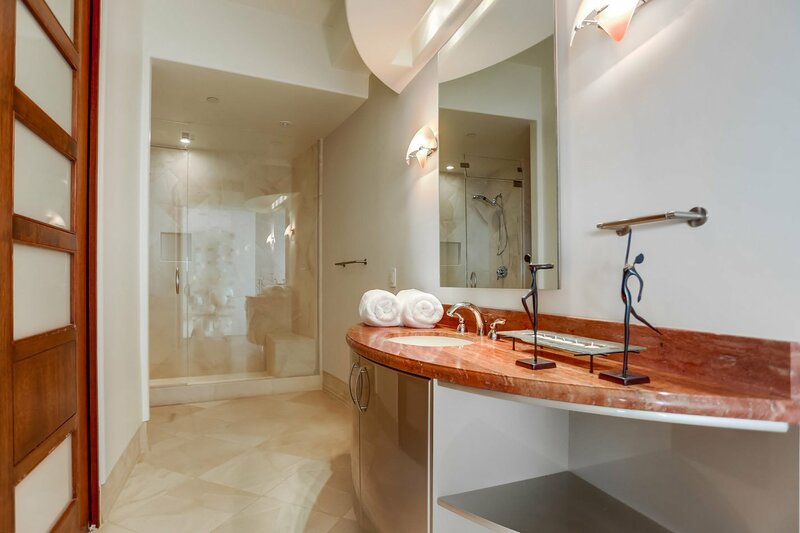 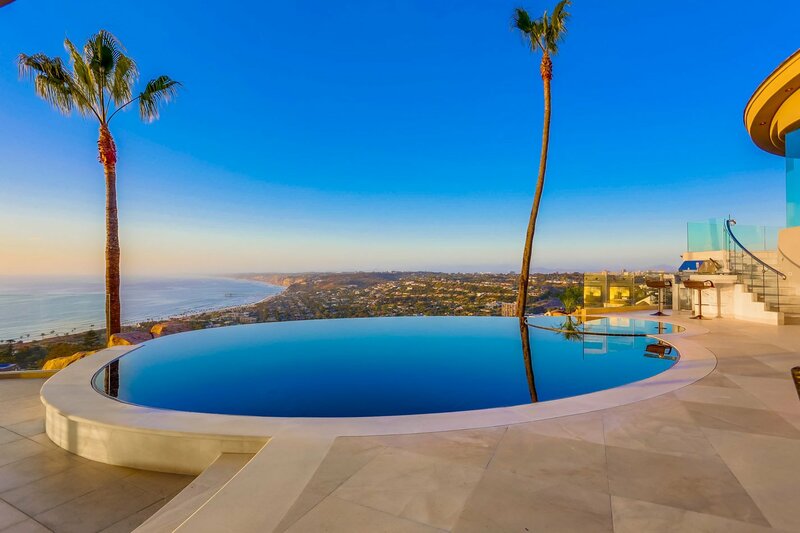 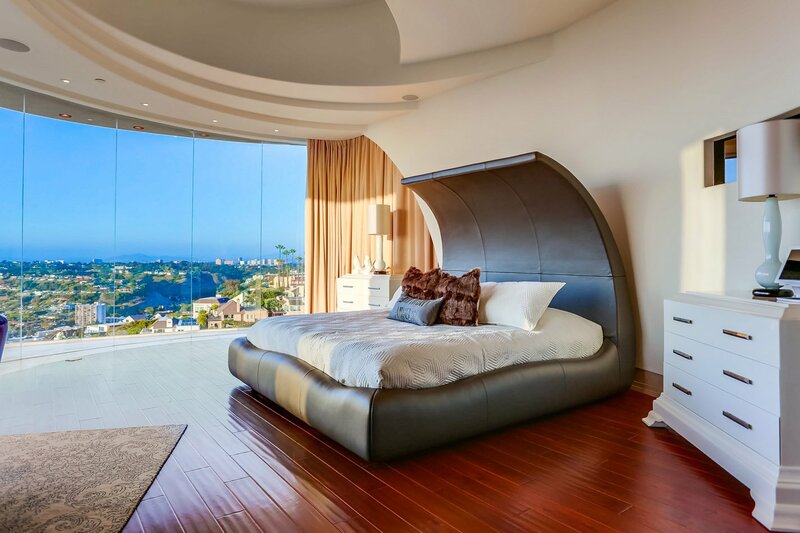 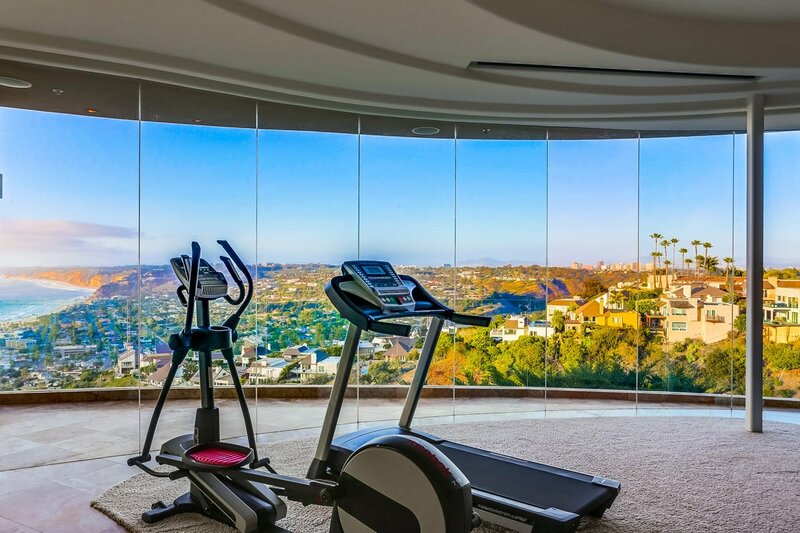 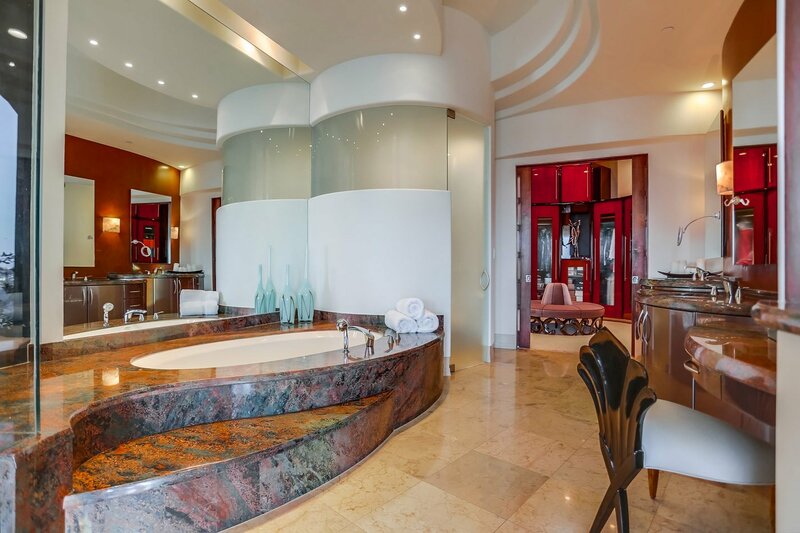 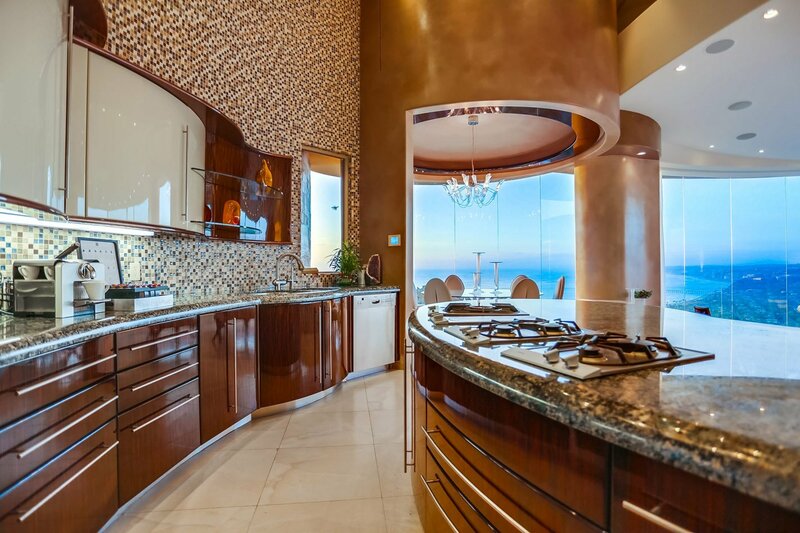 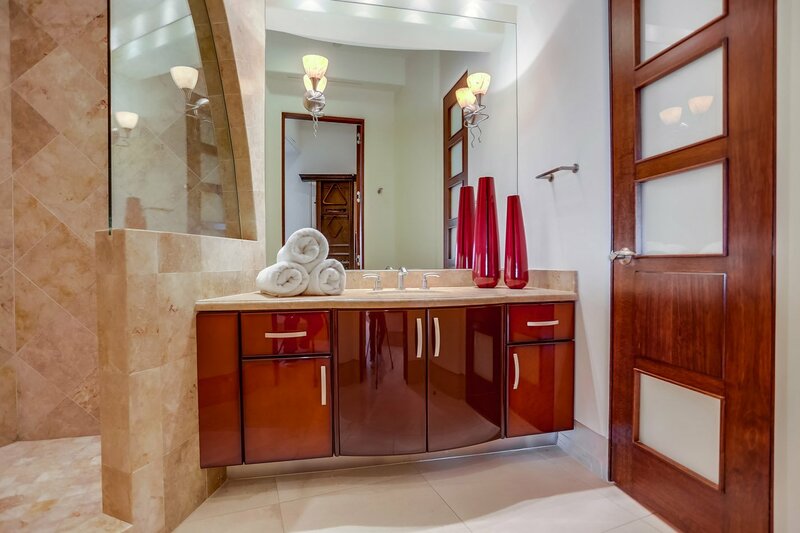 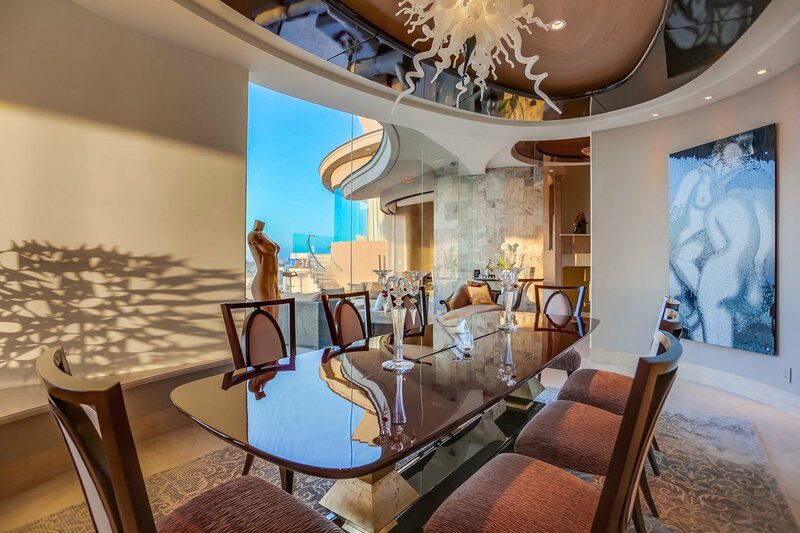 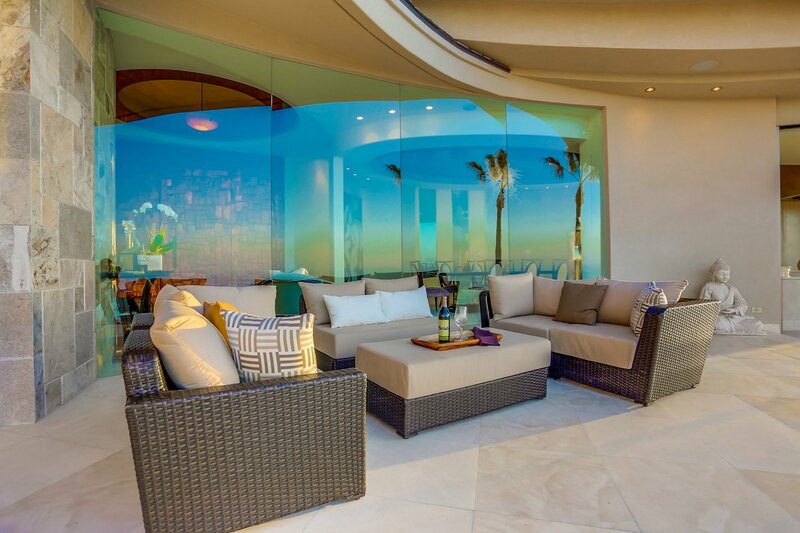 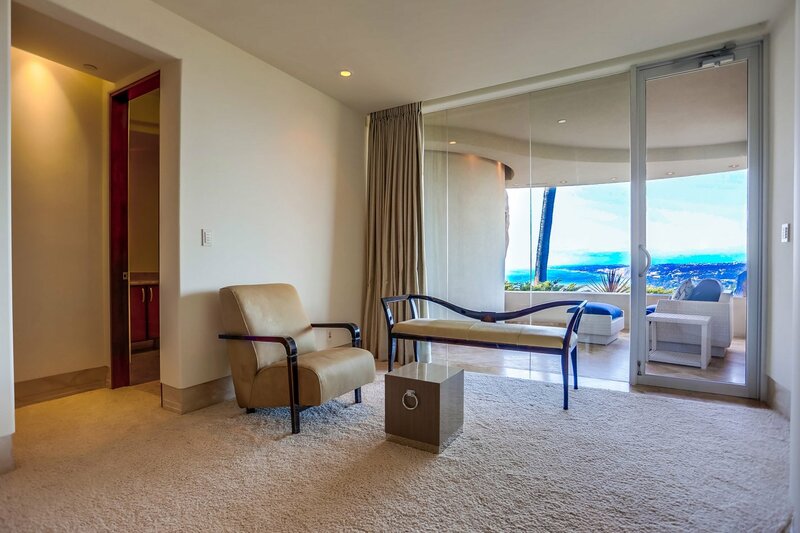 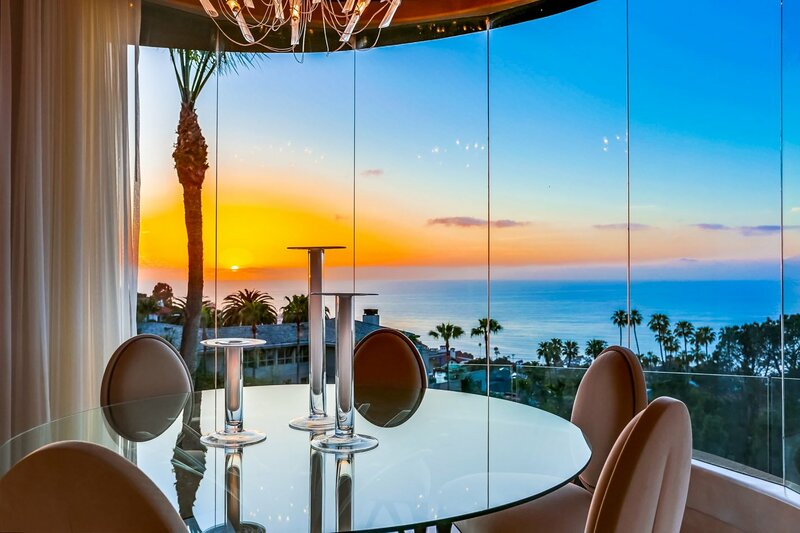 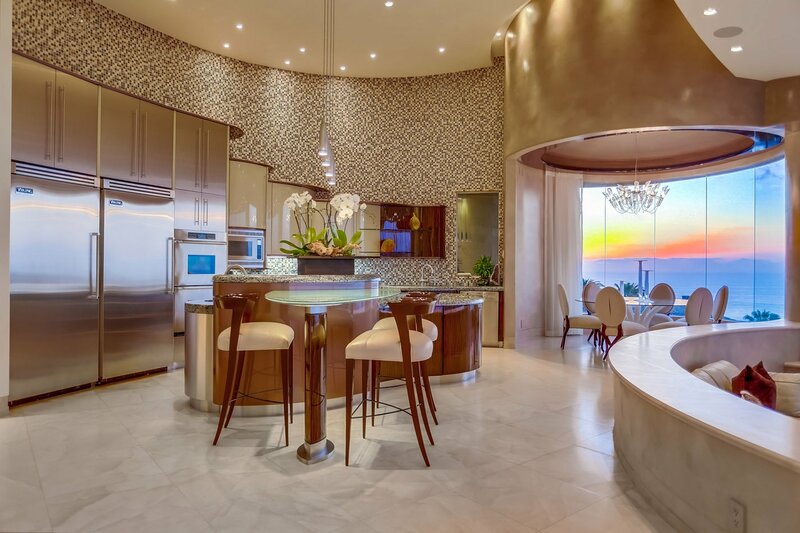 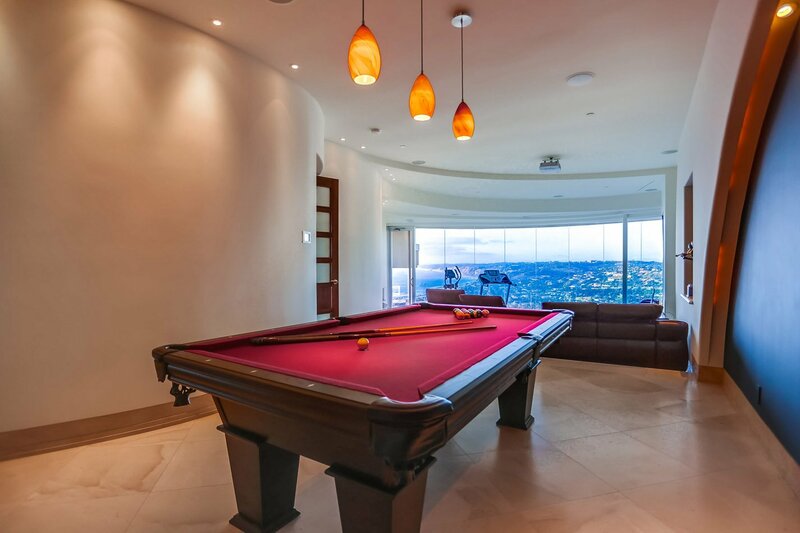 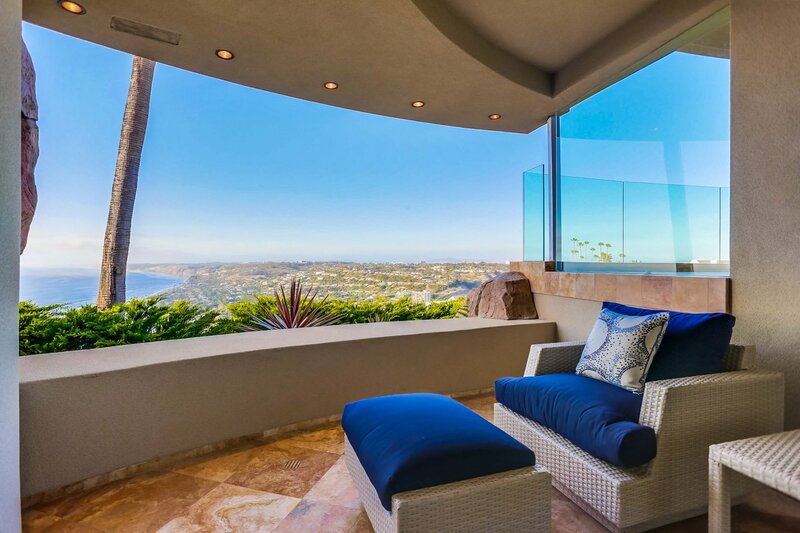 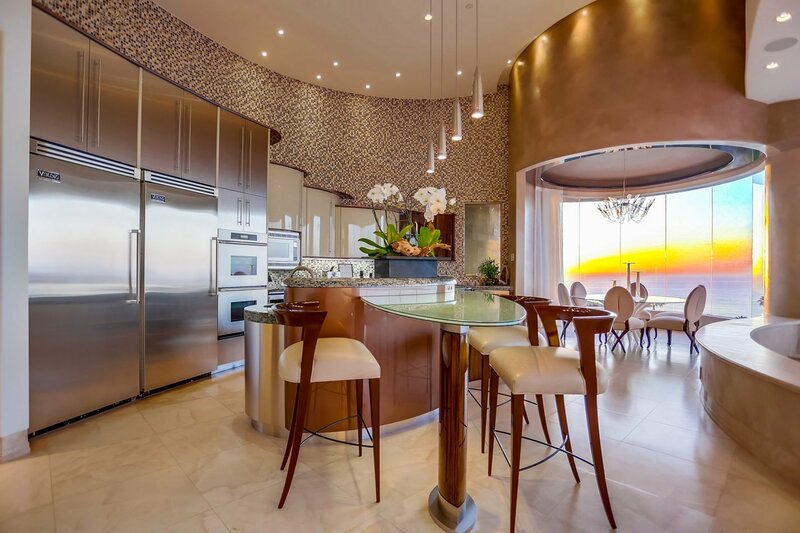 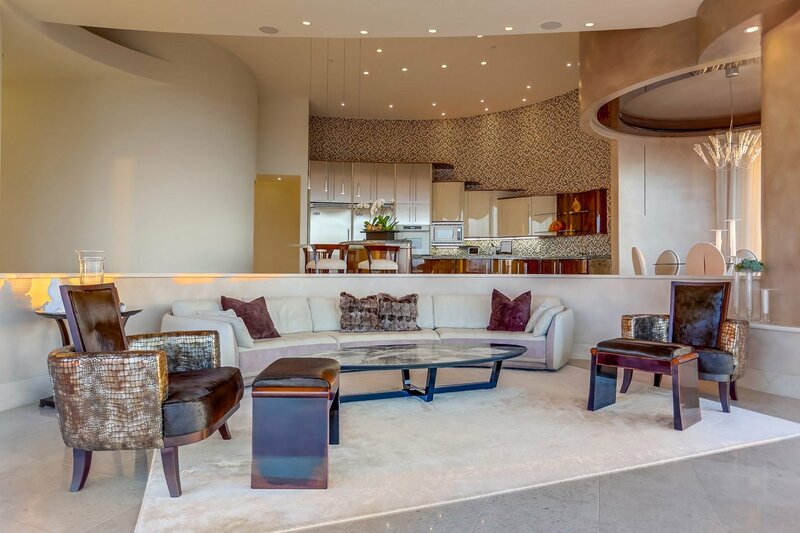 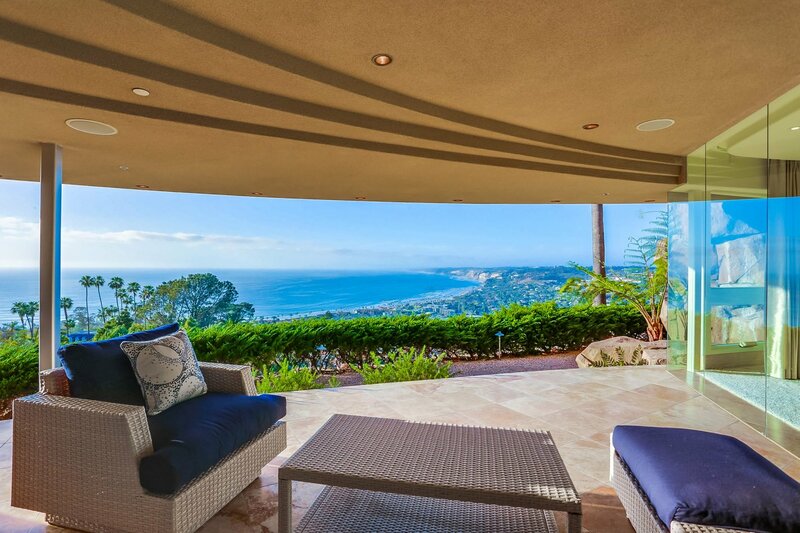 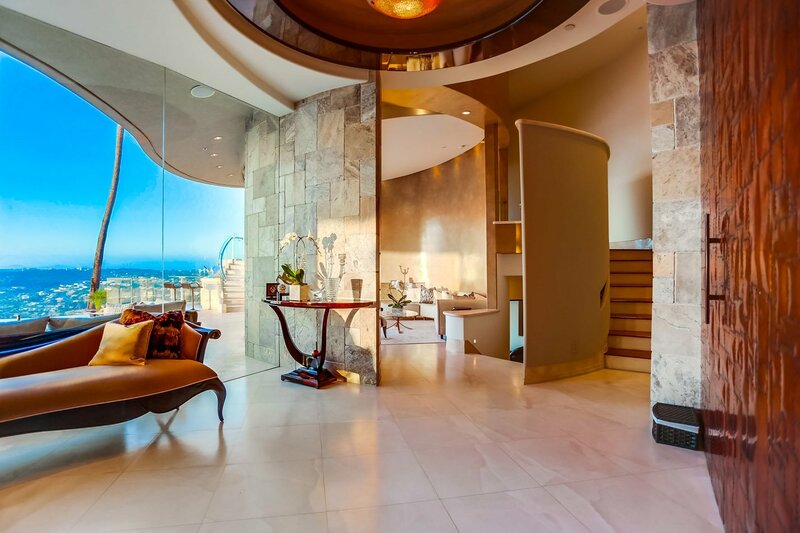 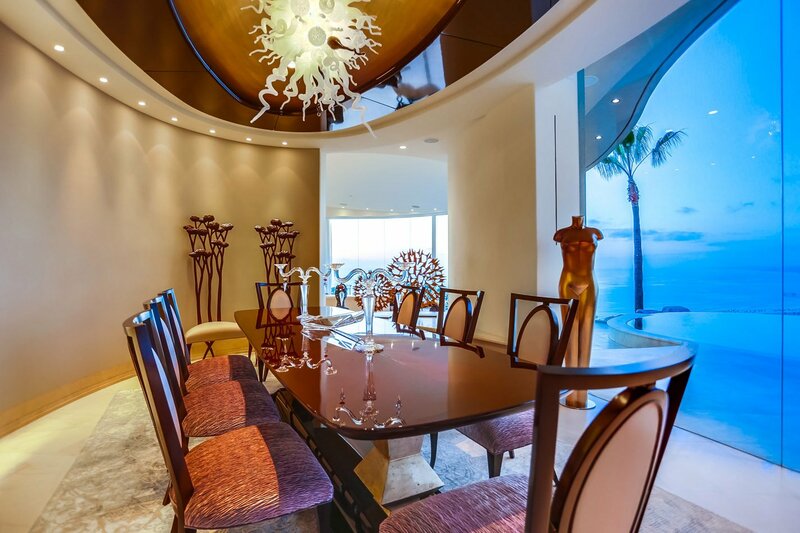 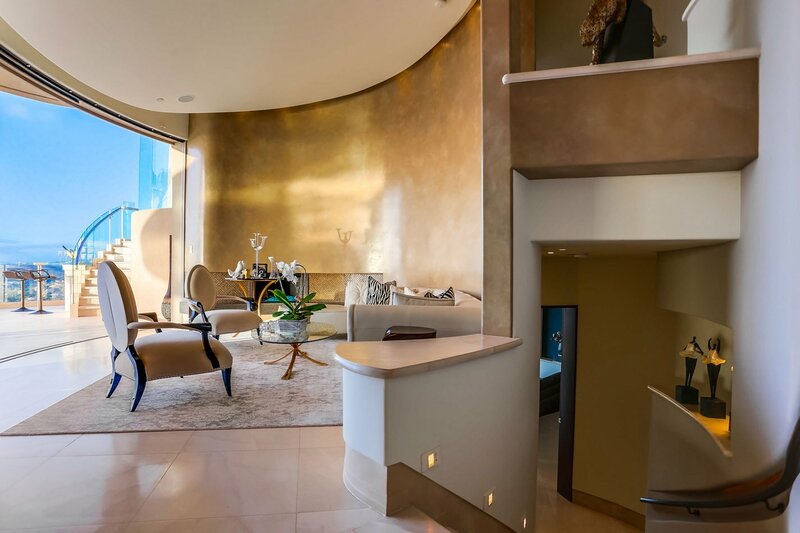 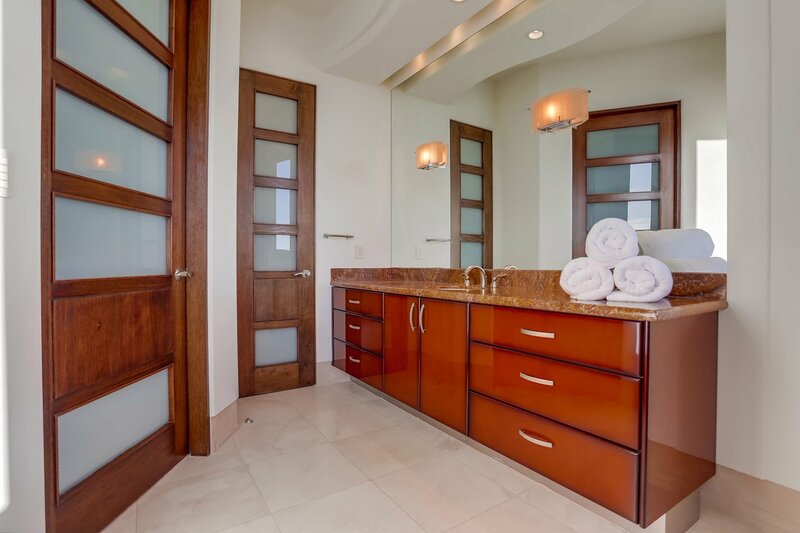 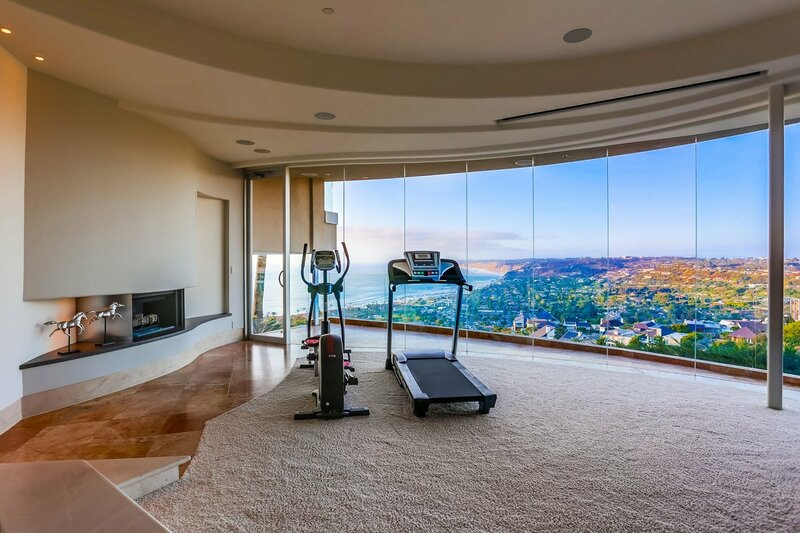 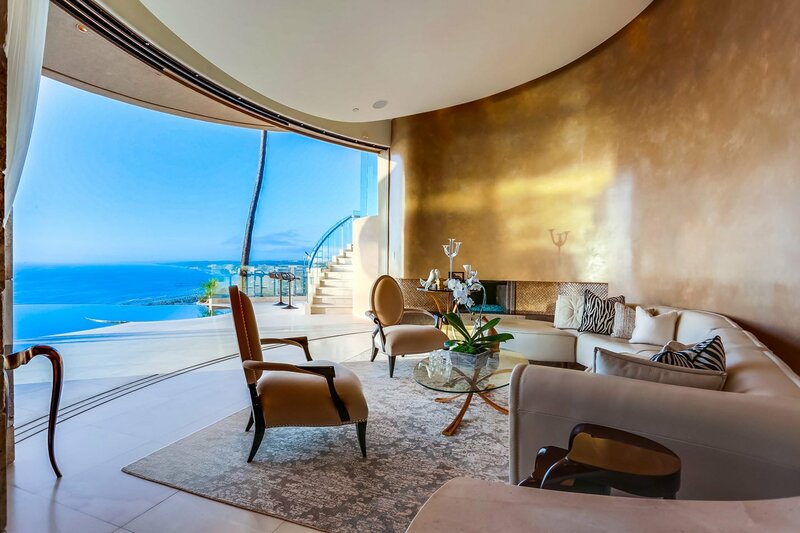 This luxurious property features unrivaled views of La Jolla and custom amenities throughout the 9,200 Sq. 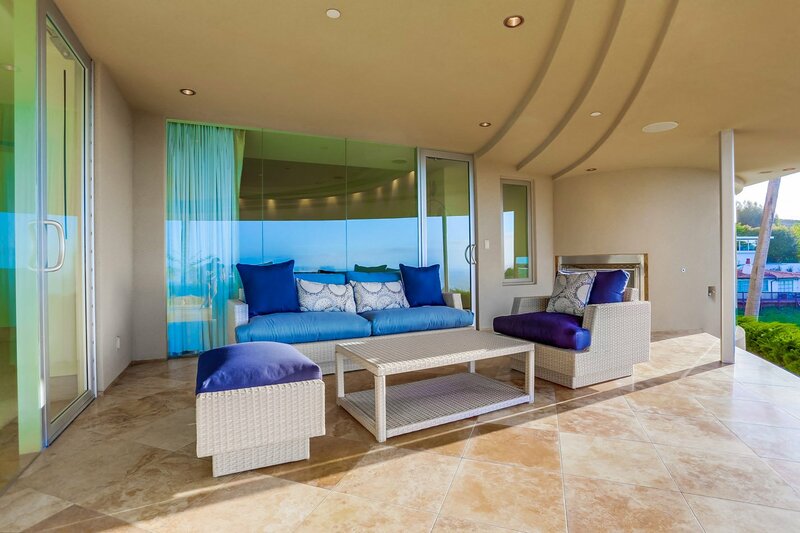 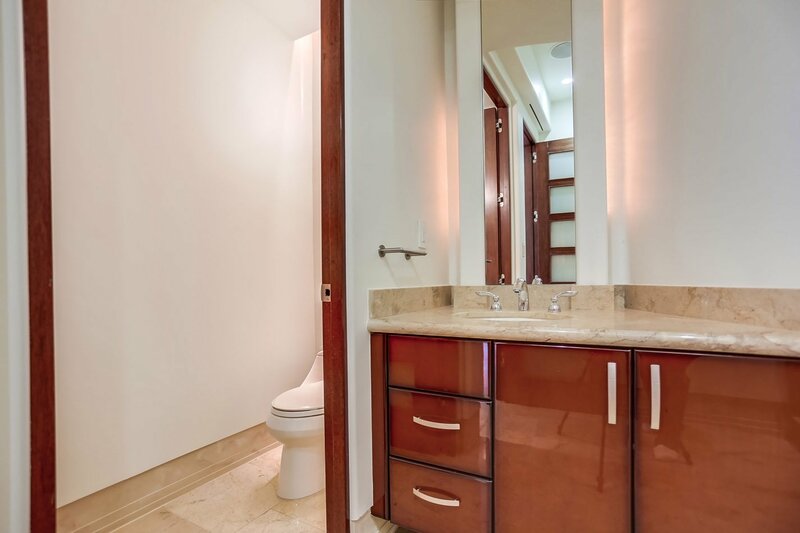 Ft. structure, carefully designed to suit the most distinguished buyer. 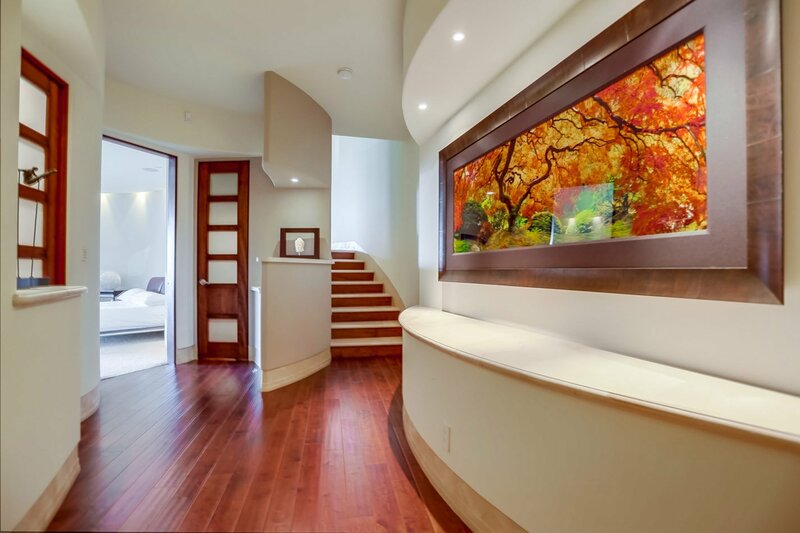 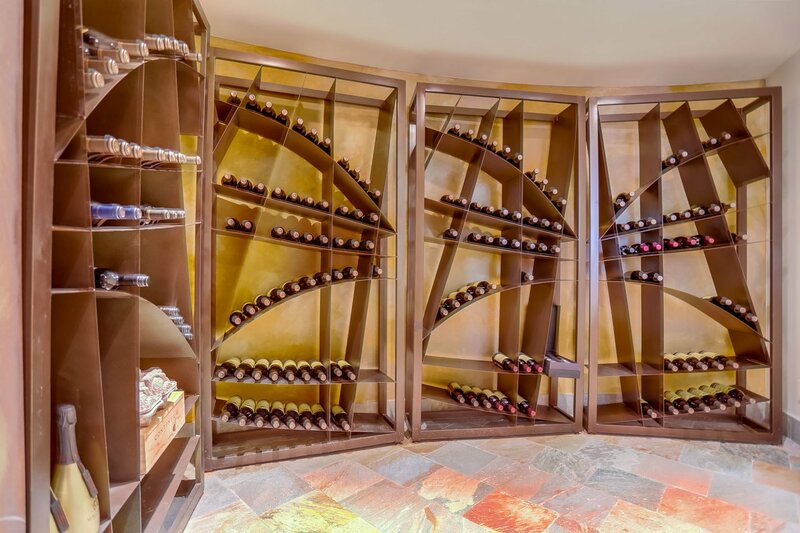 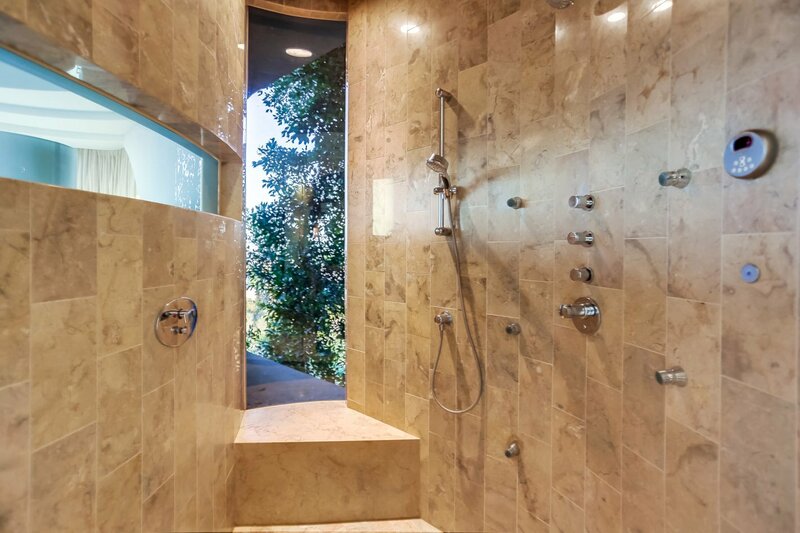 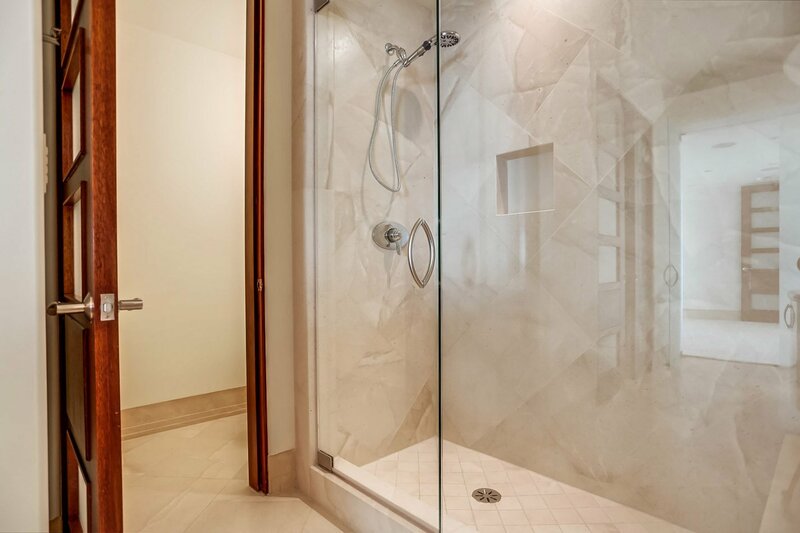 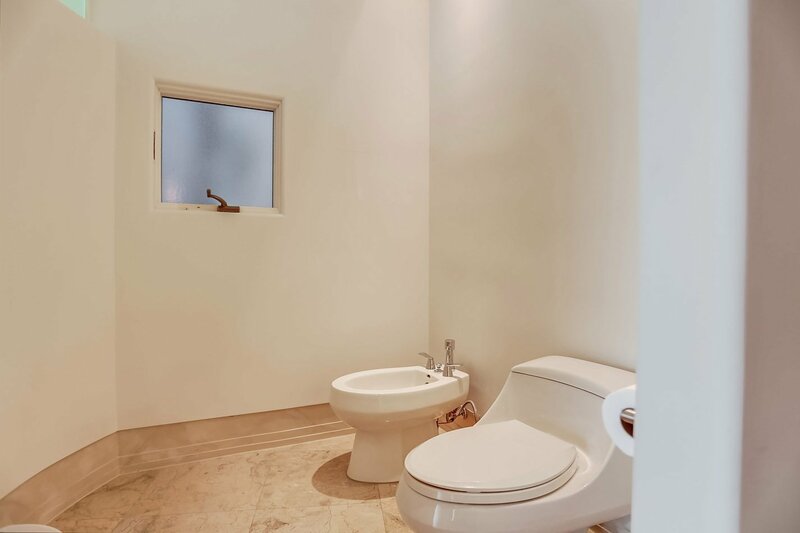 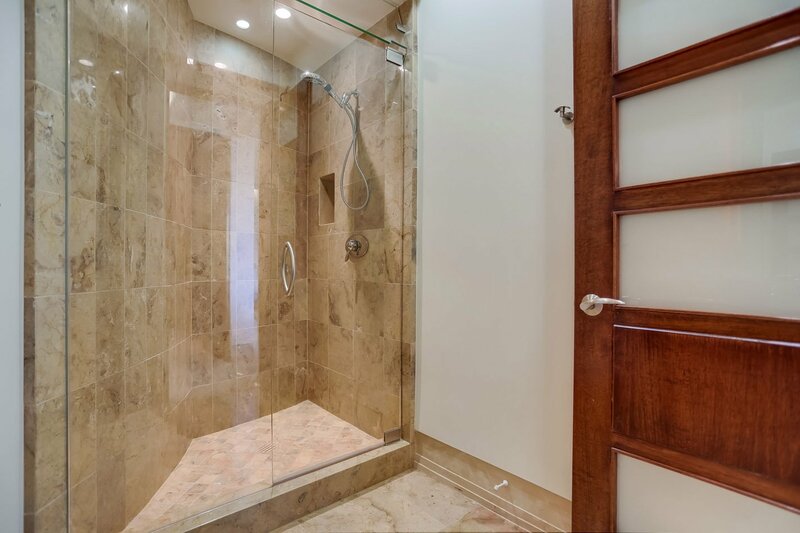 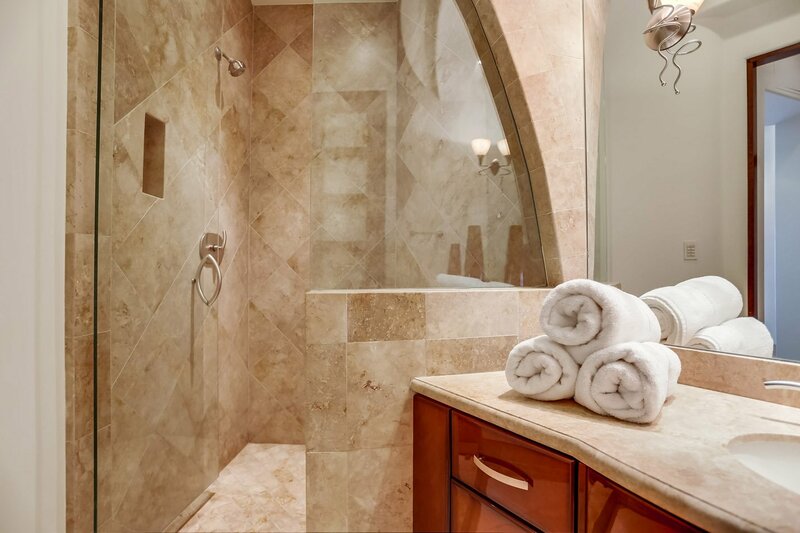 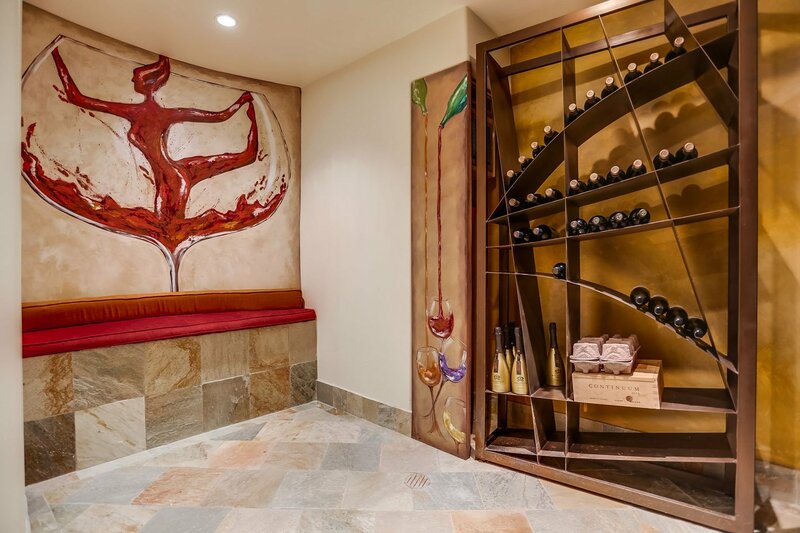 Custom wine cellar & tasting room, theater, Crestron smart home, steam shower & soaker tub. 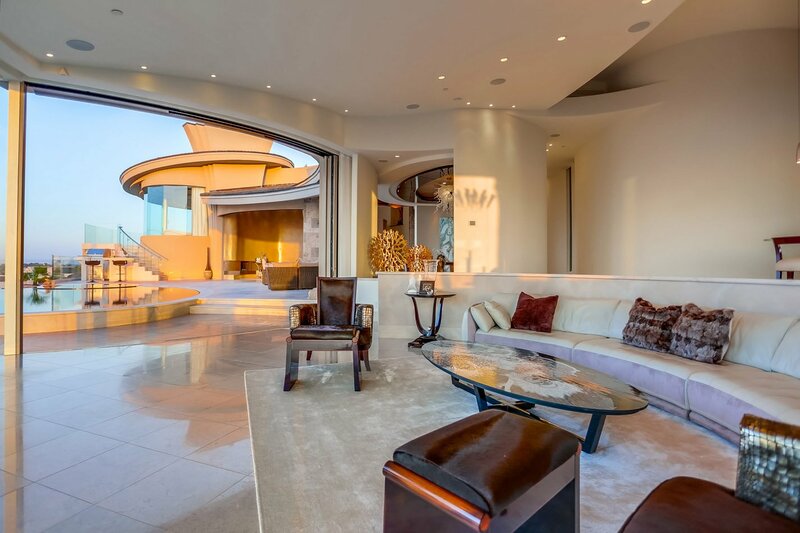 CDGI Architects formed a masterpiece by assimilating a stylish, ultra-contemporary luxury estate, with a livable home that's connected to its natural surroundings. 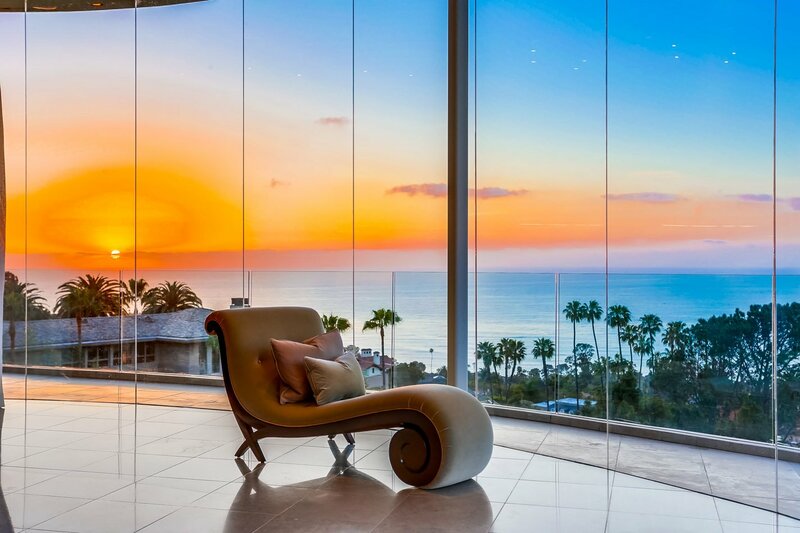 “Essensia” The essence of the land, sea, and sky from which it has evolved, Essencia is both sculpture & residence. 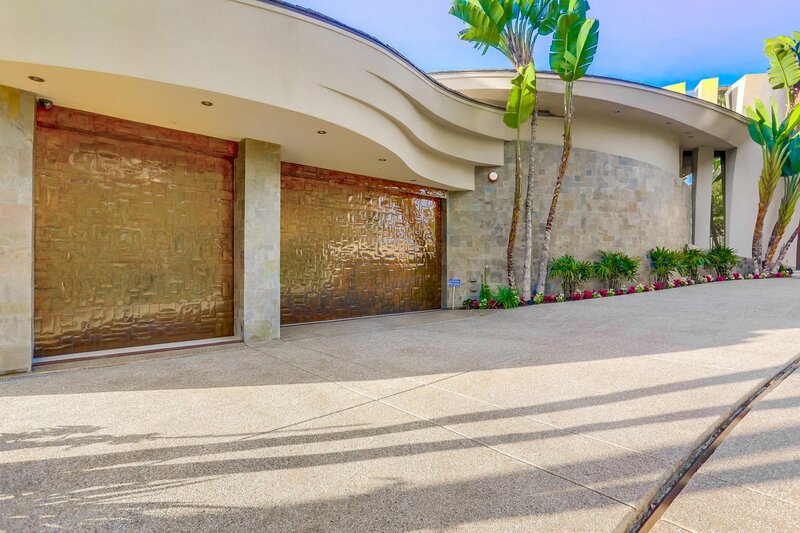 From the second you set your eyes on this bold and dynamic estate, one can appreciate the superior craftsmanship throughout. 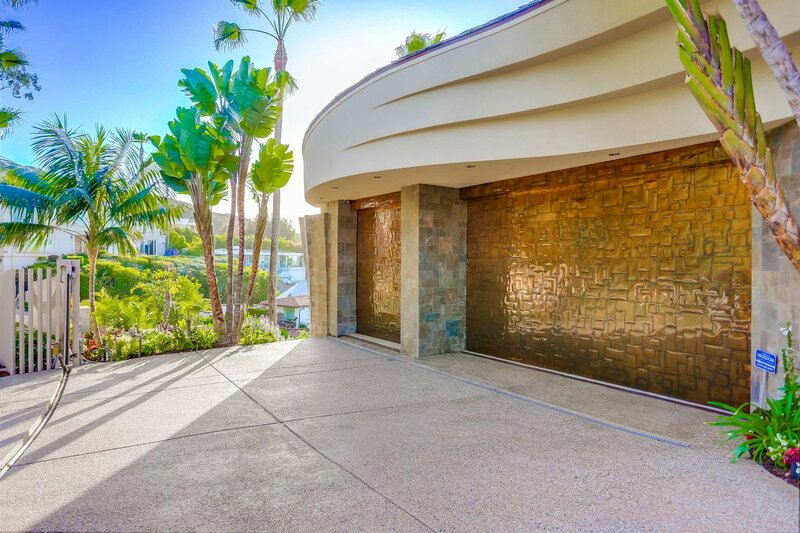 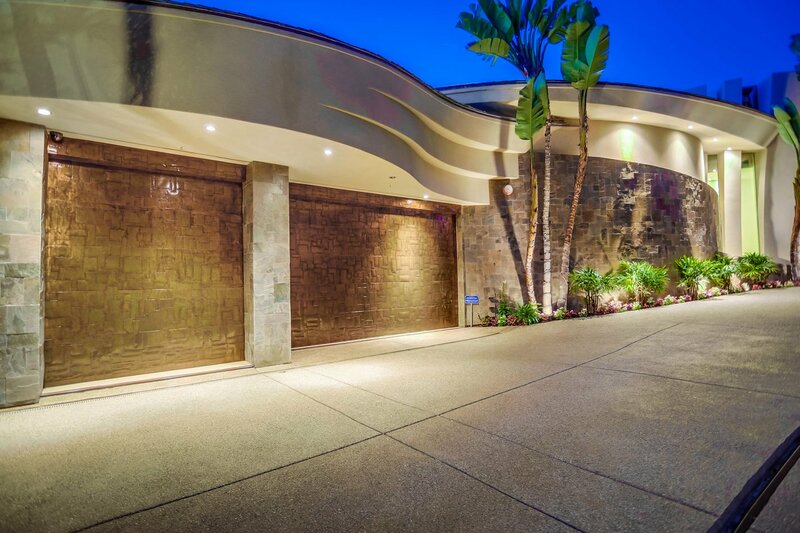 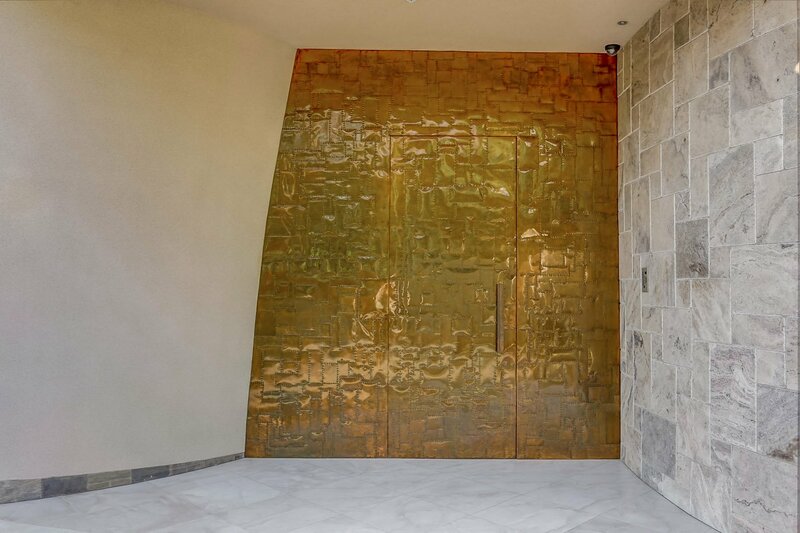 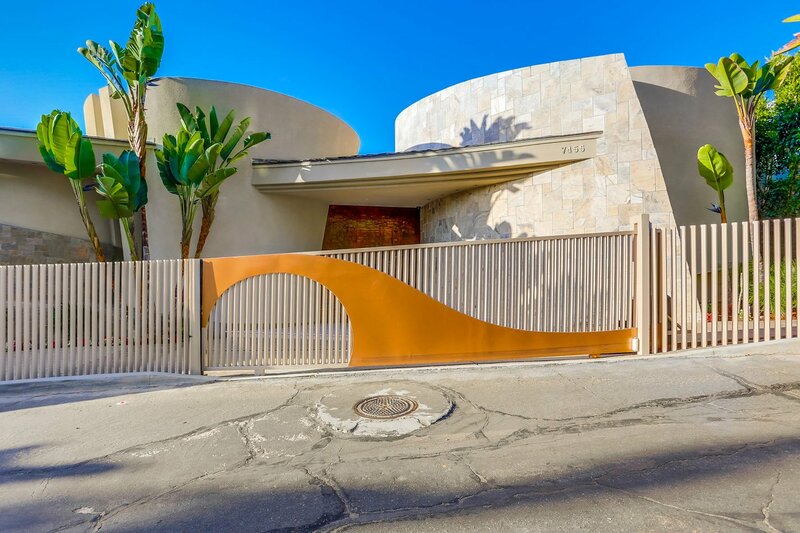 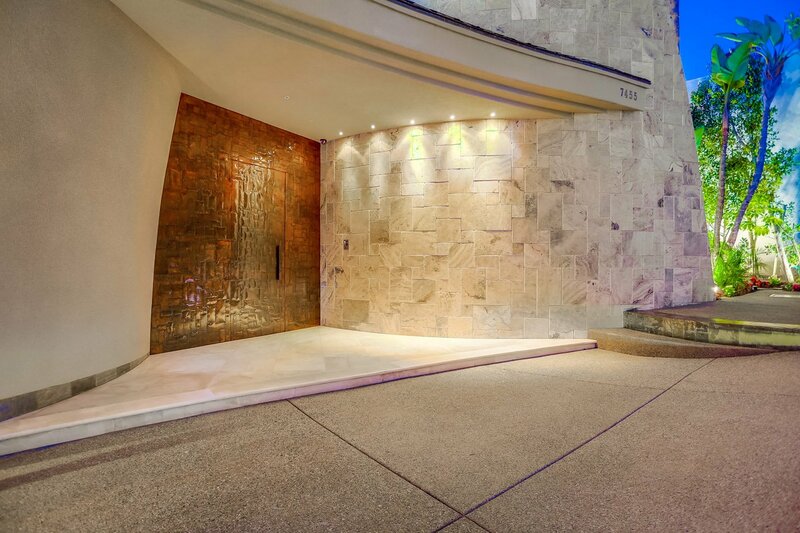 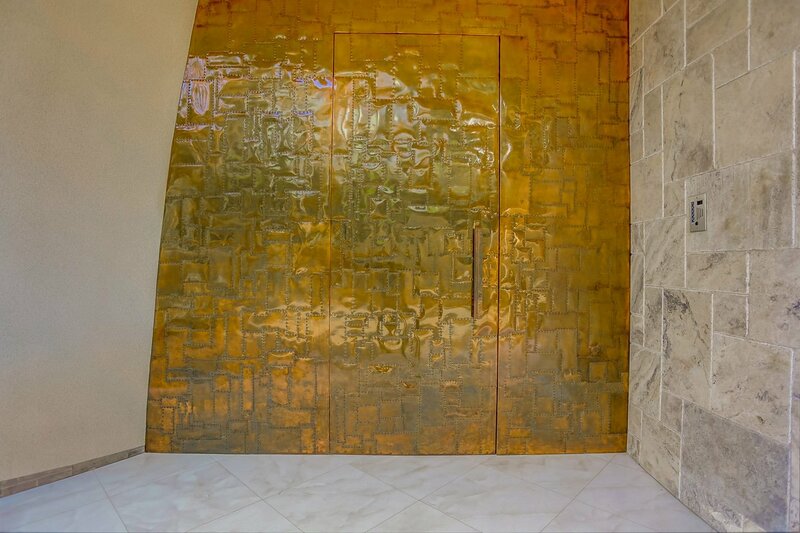 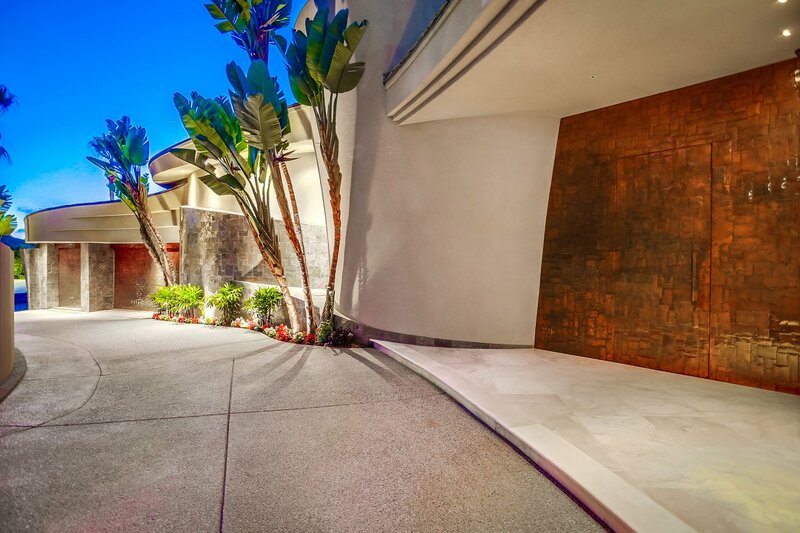 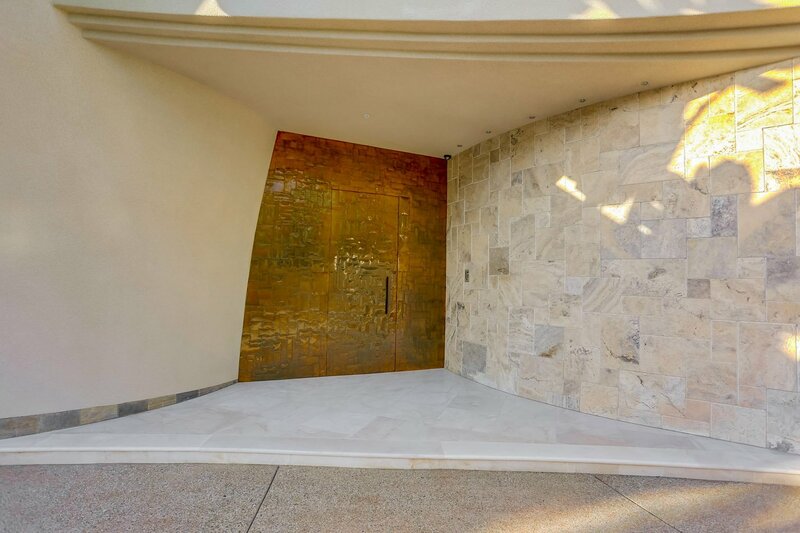 A grand copper façade on both garage and entry door welcomes visitors. 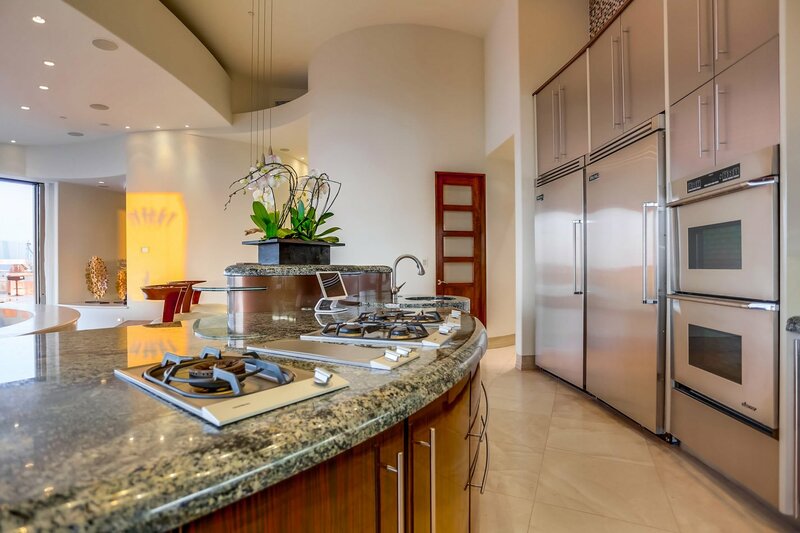 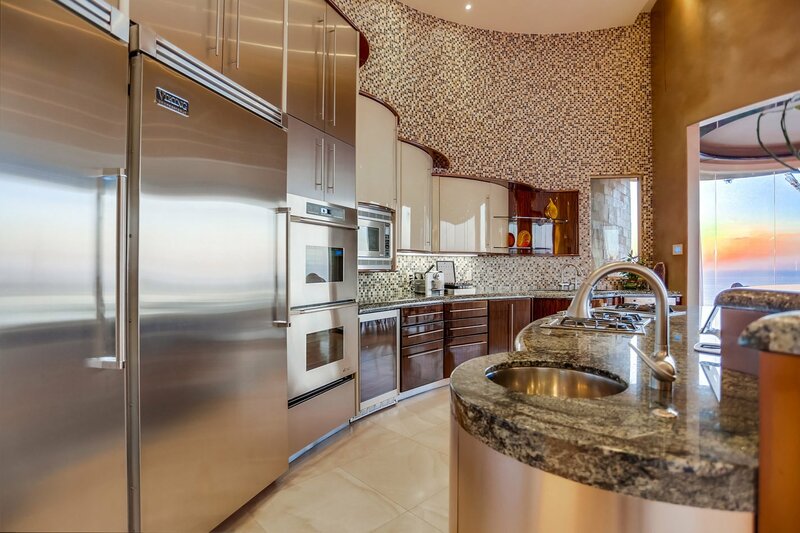 Create your favorite dish in the gourmet kitchen, complete with commercial grade Viking appliances. 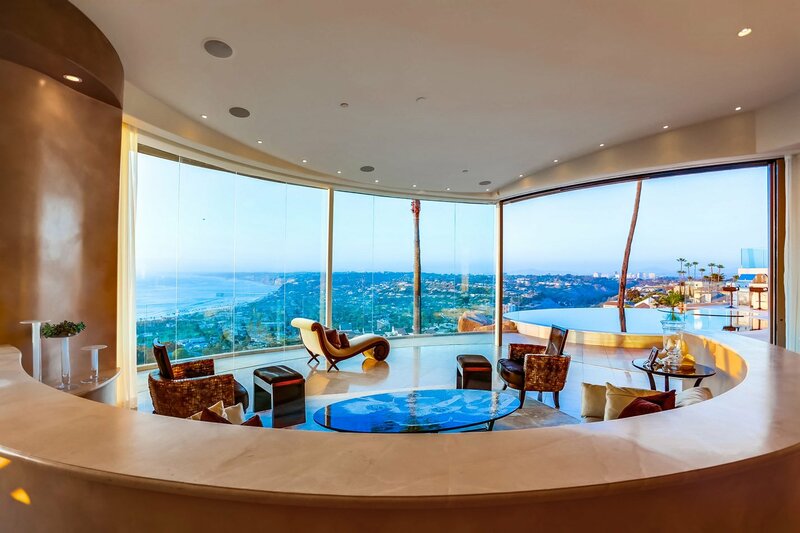 Fully automated towering glass doors slide effortlessly opening the home to the elements in arguably one of the world’s best climates.